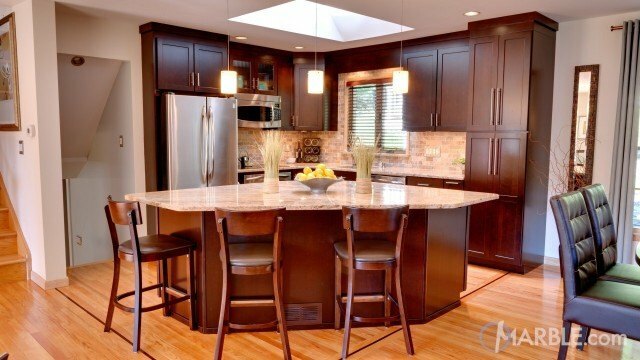 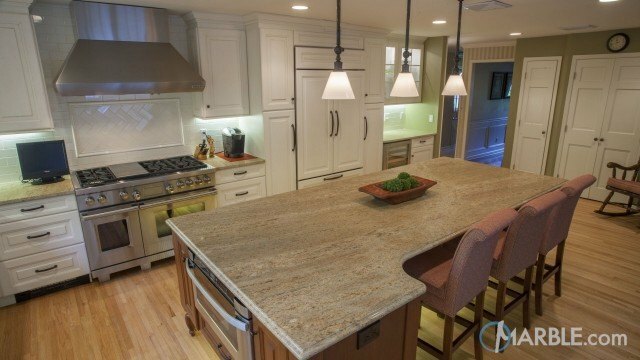 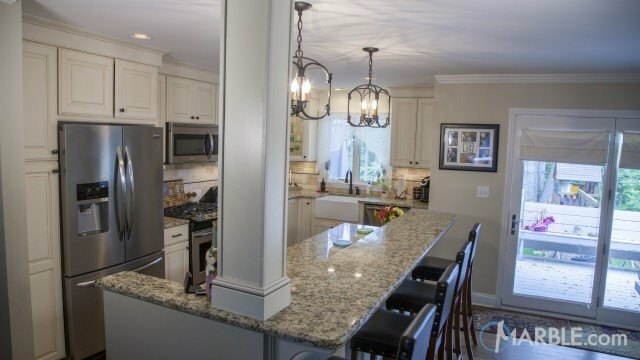 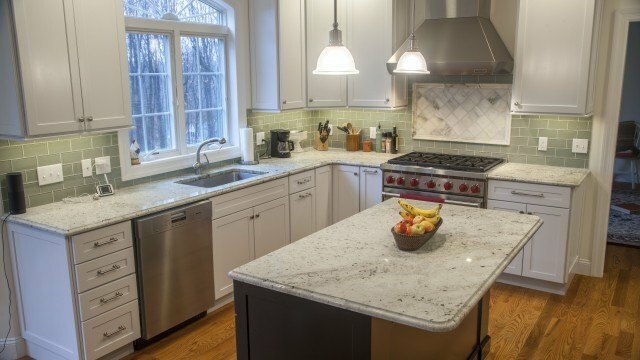 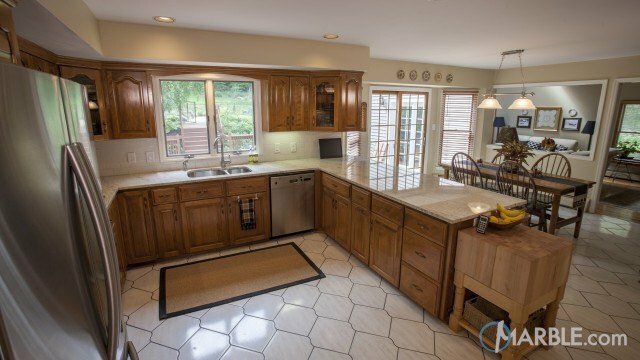 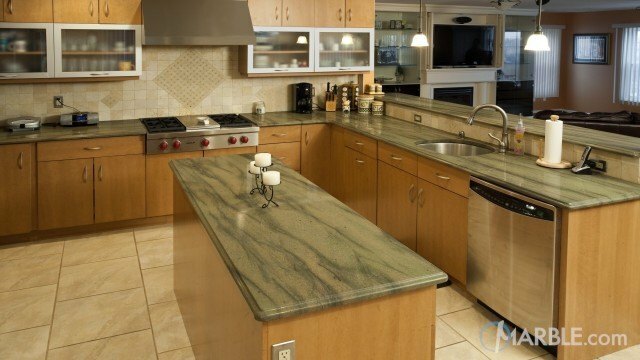 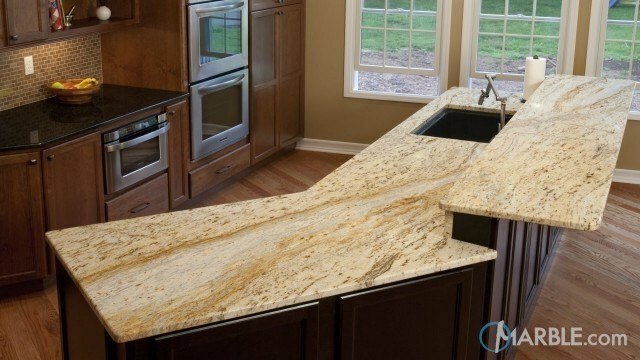 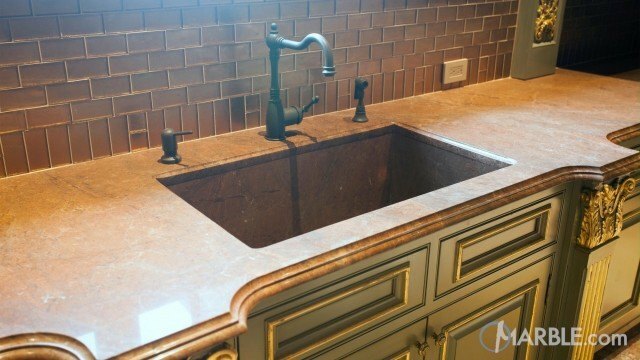 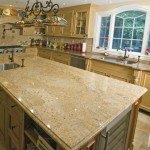 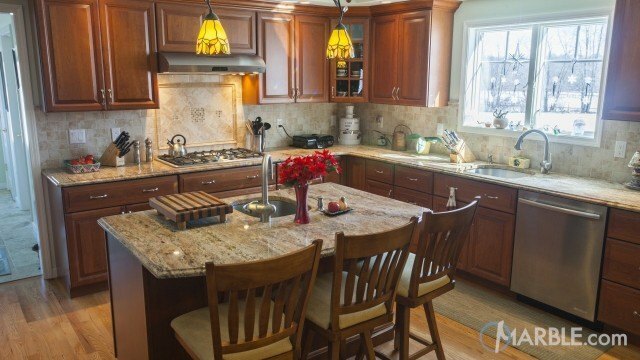 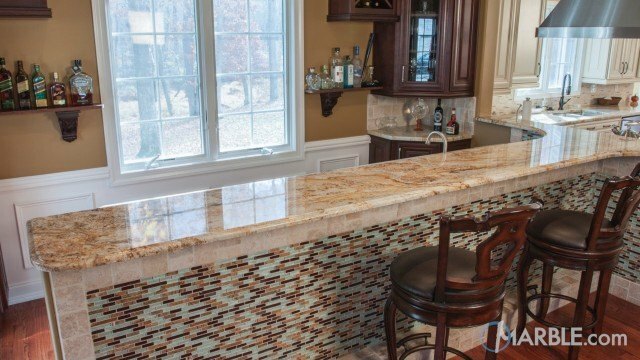 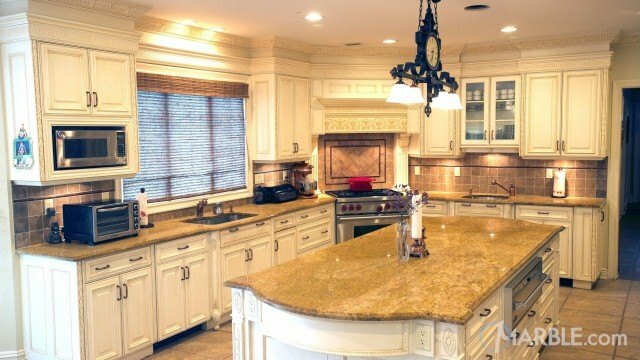 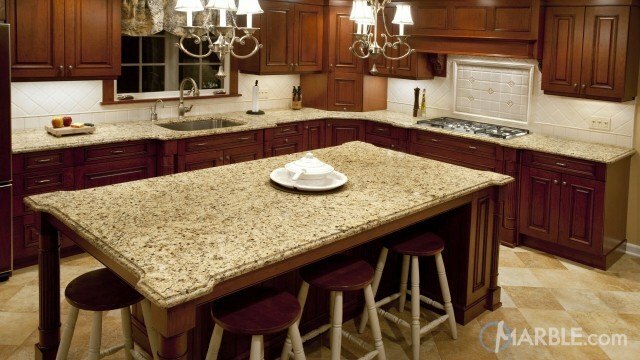 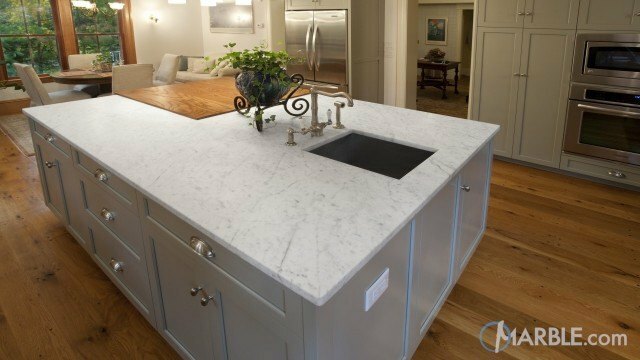 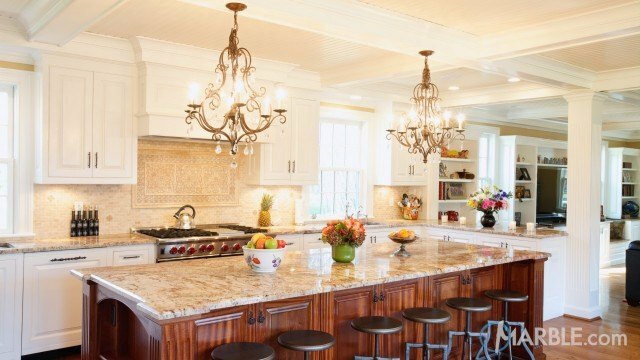 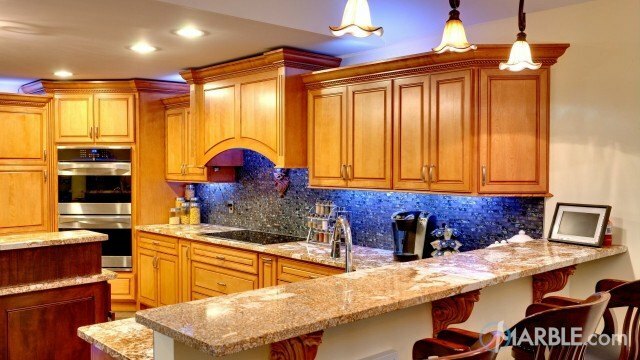 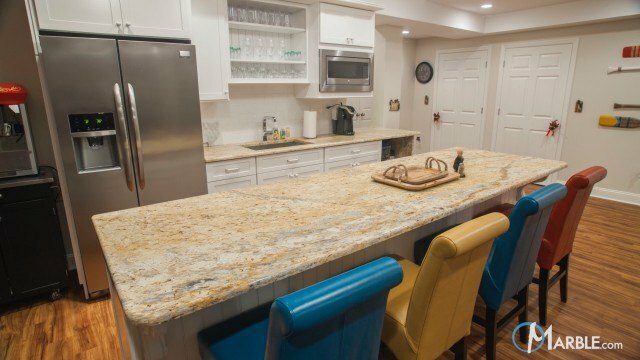 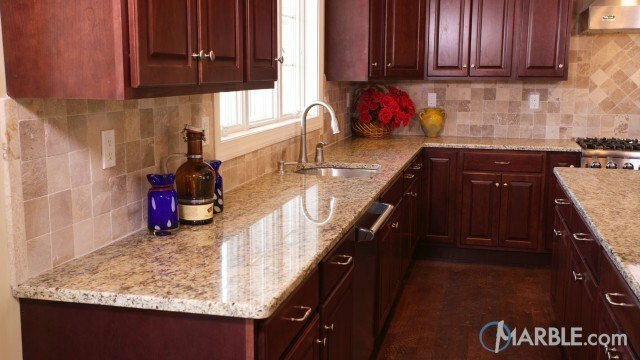 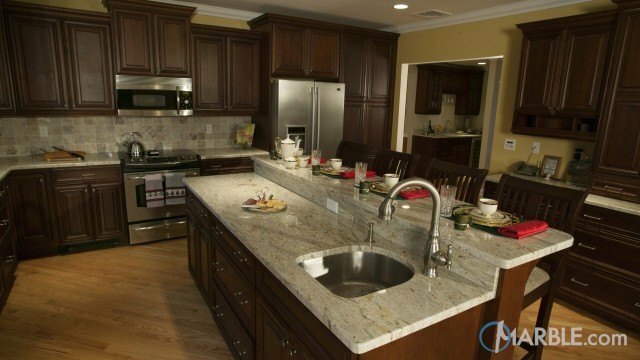 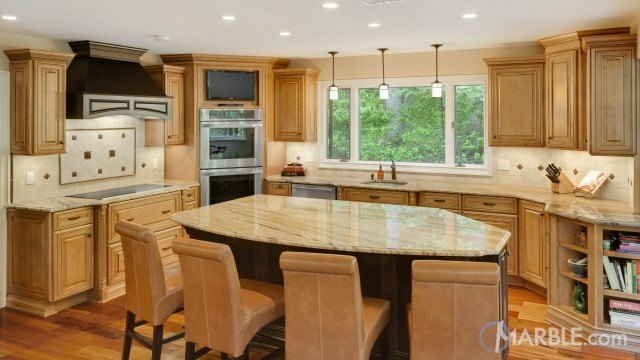 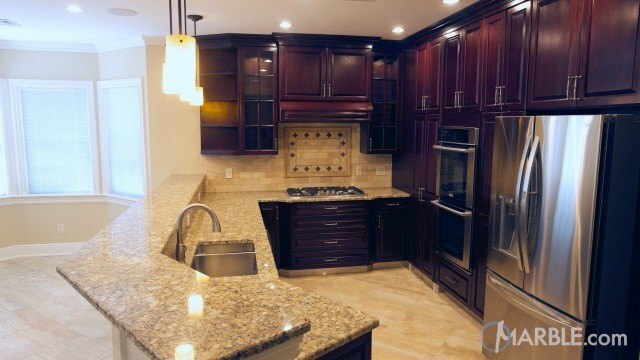 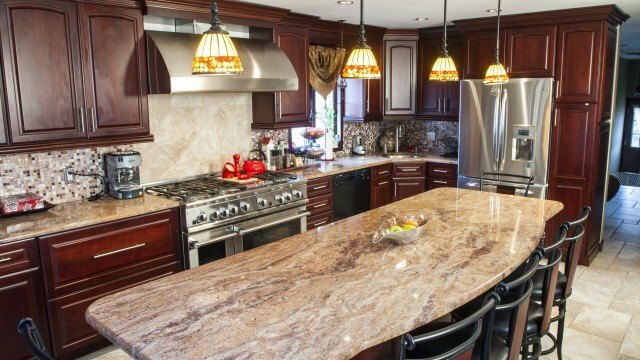 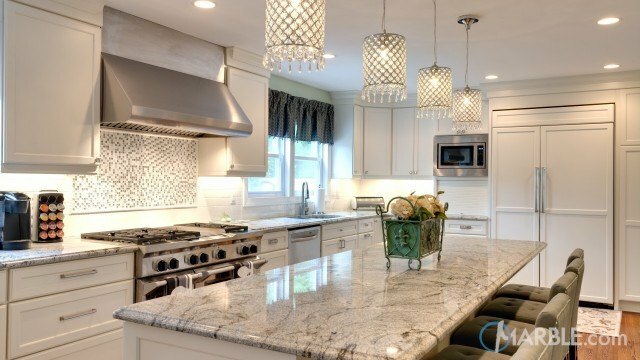 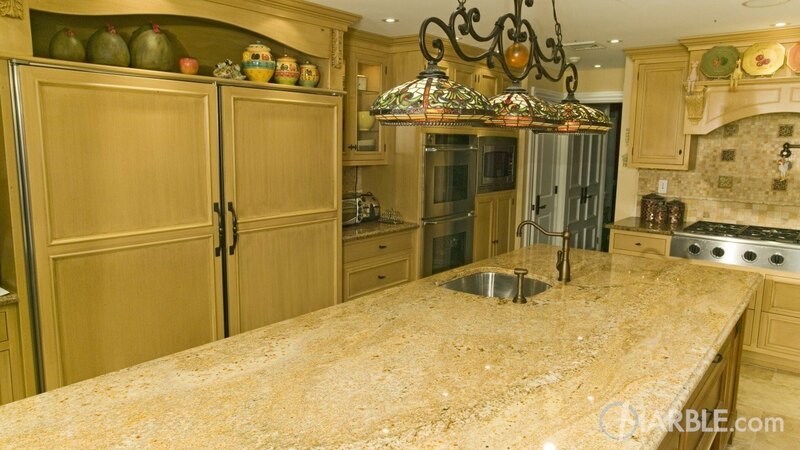 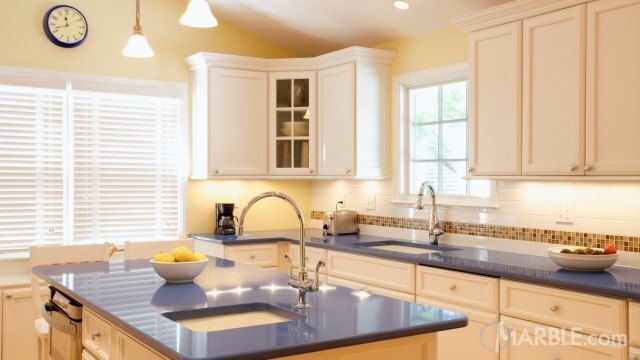 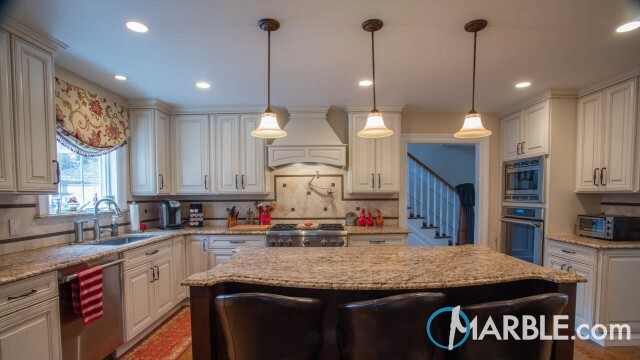 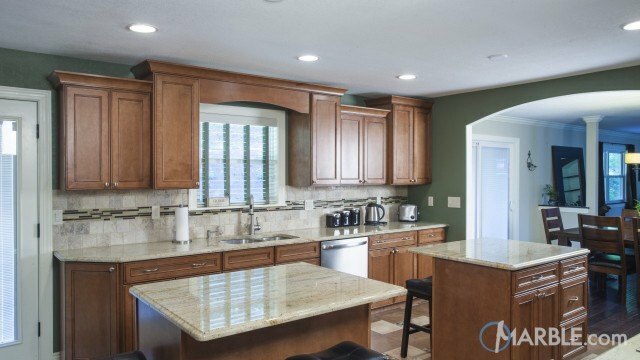 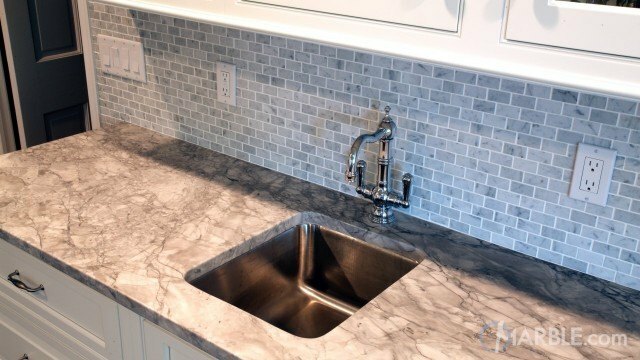 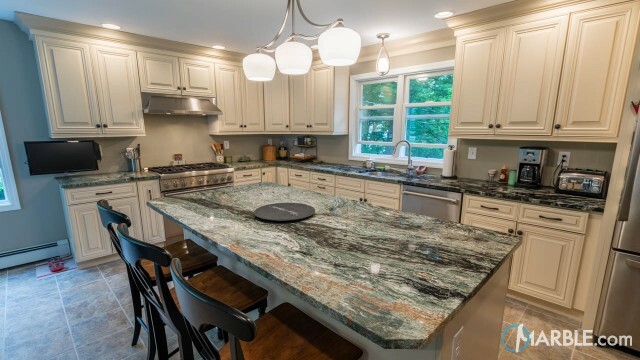 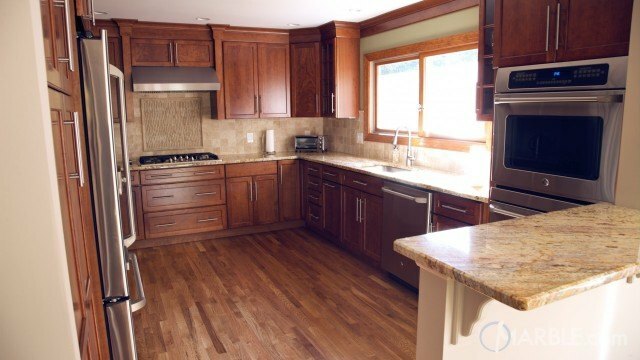 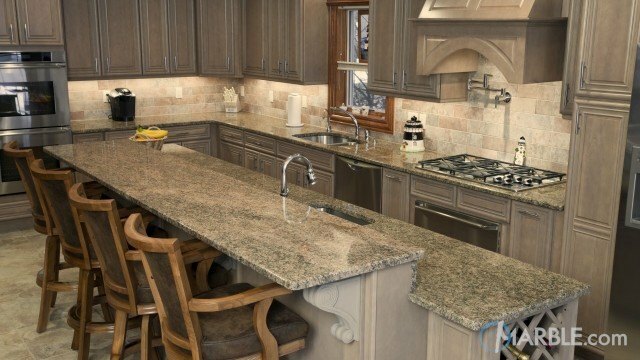 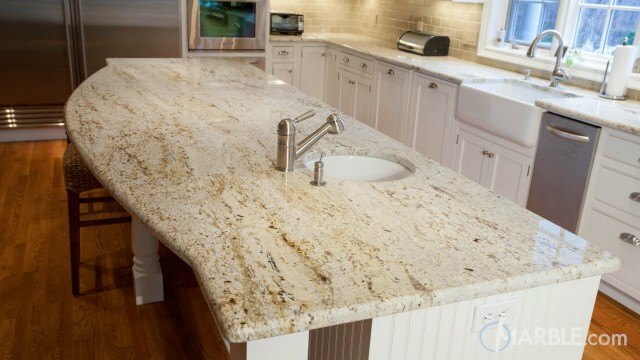 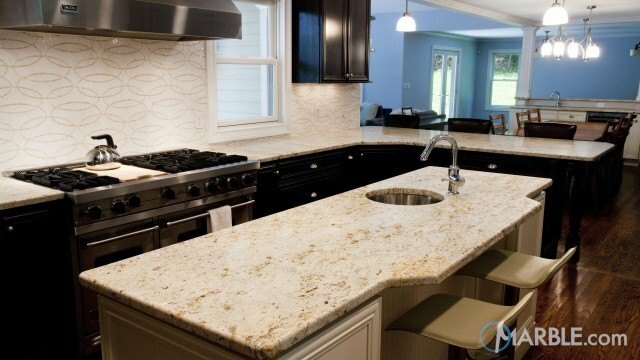 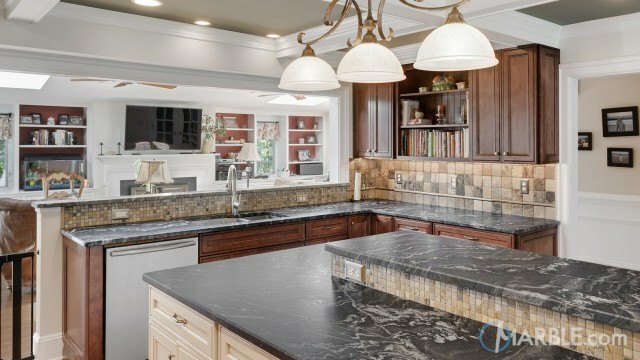 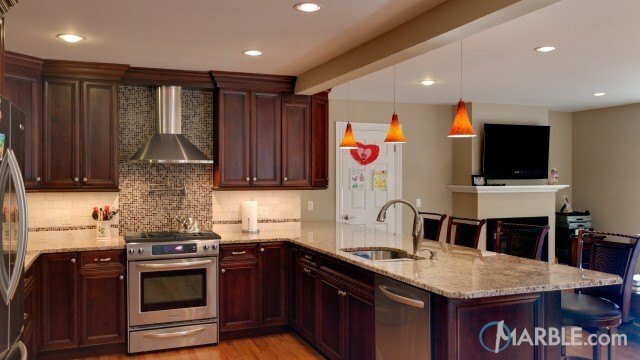 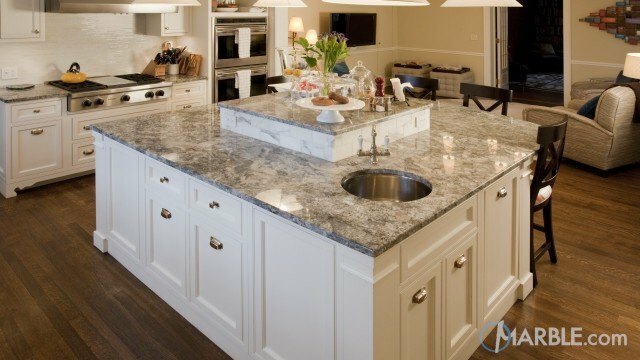 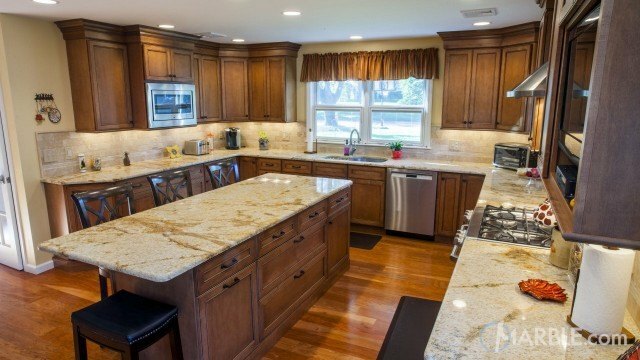 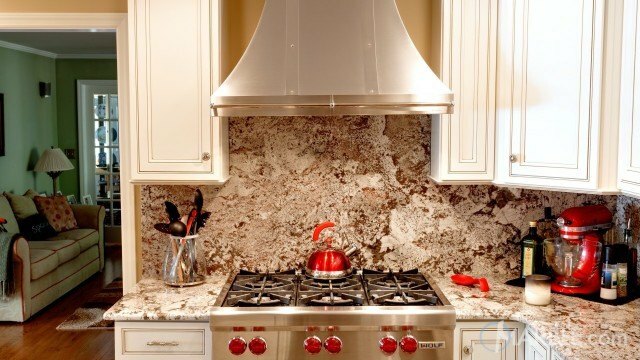 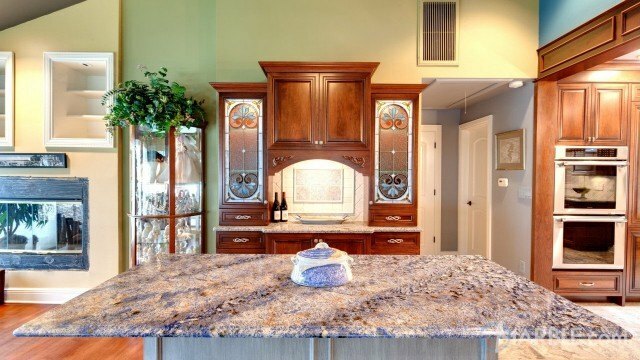 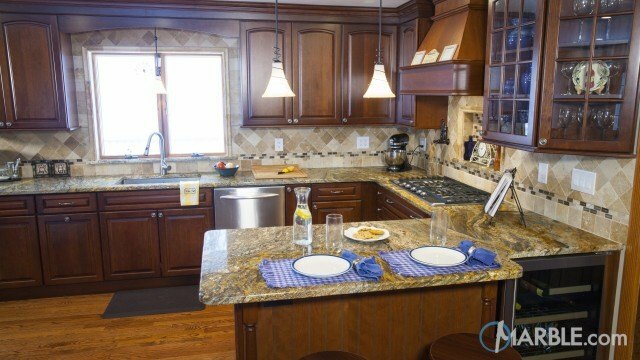 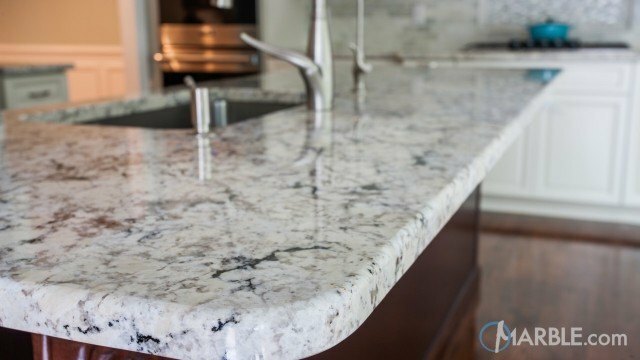 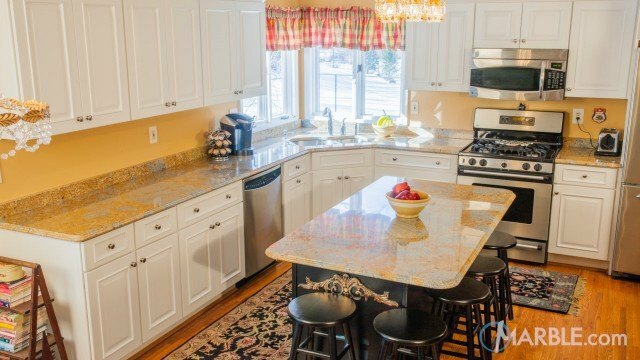 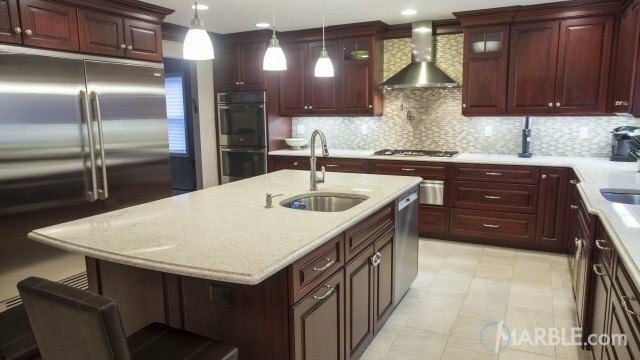 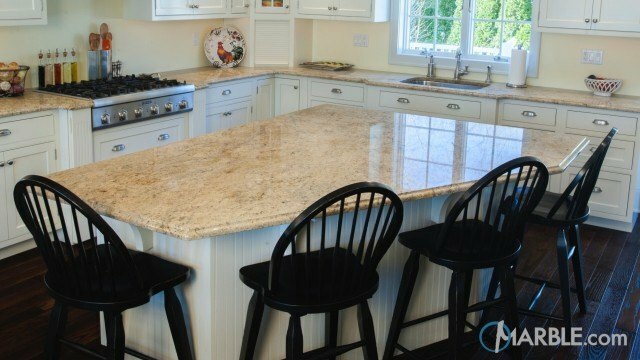 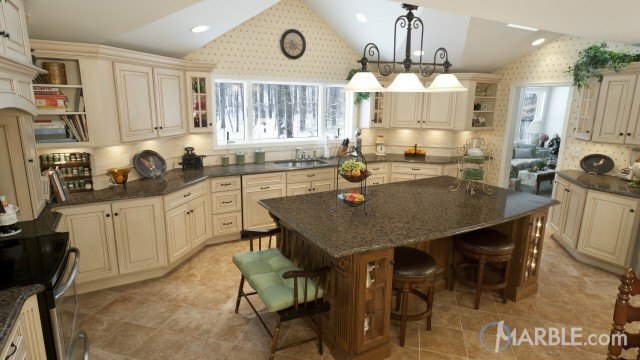 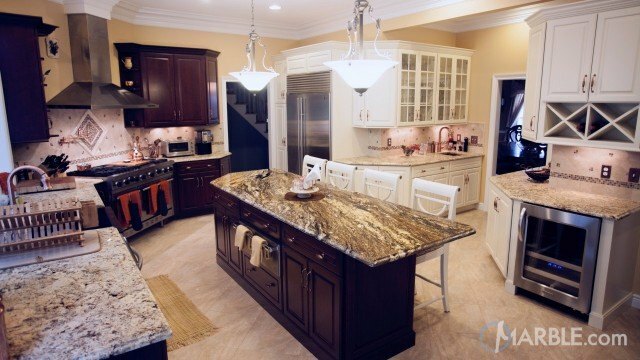 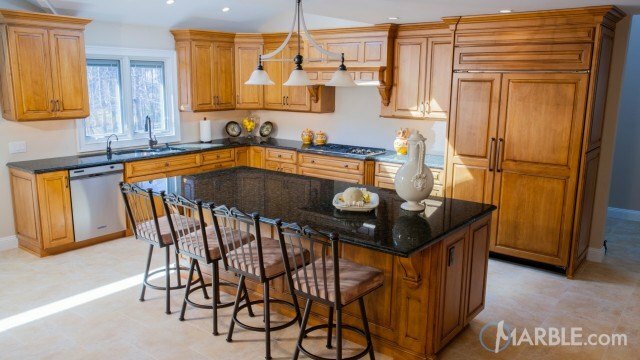 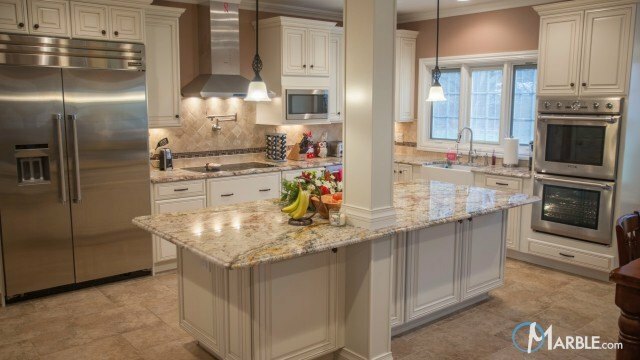 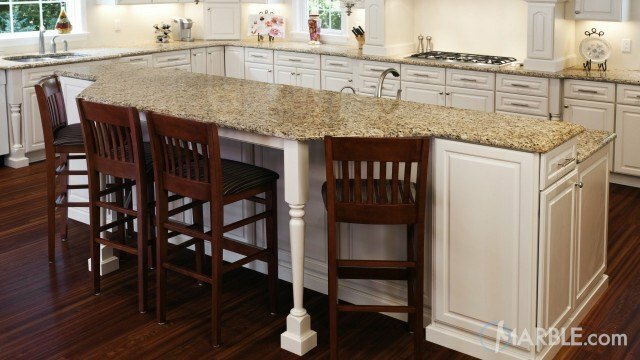 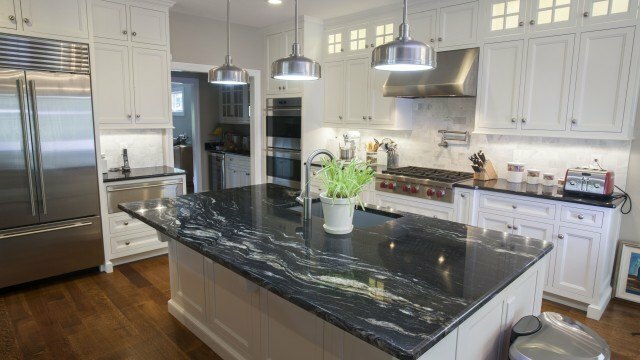 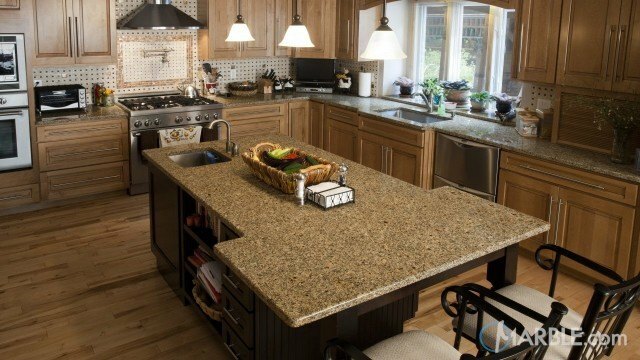 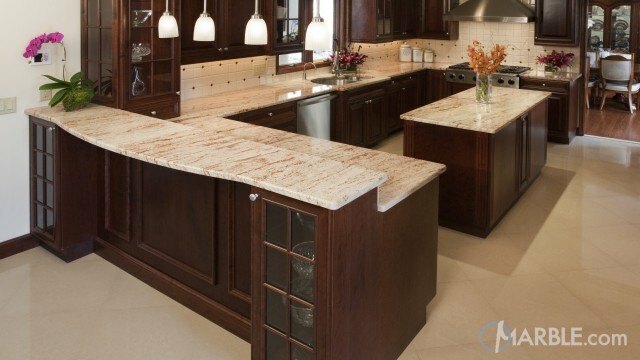 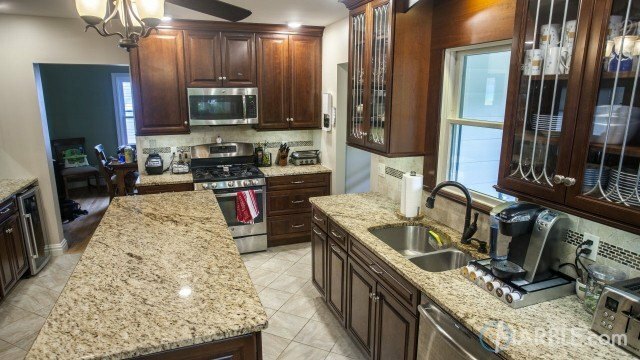 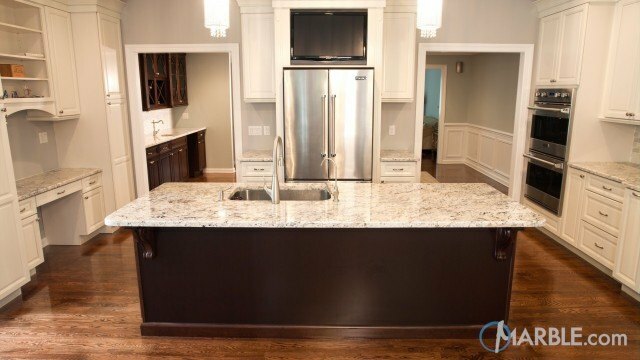 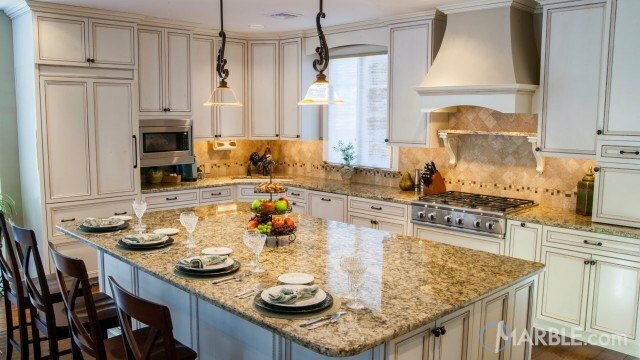 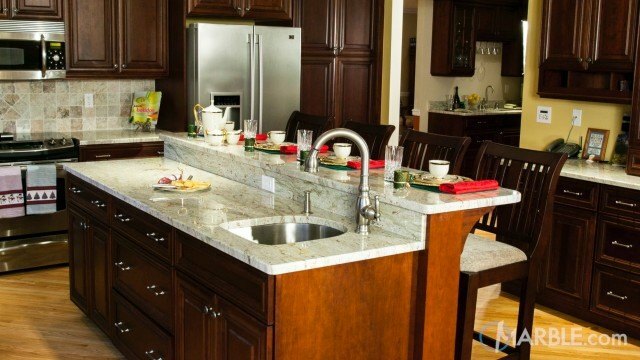 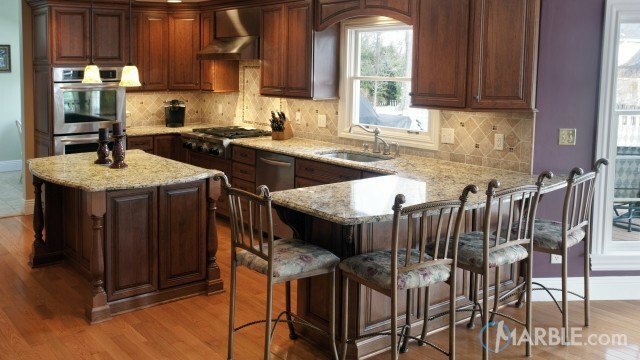 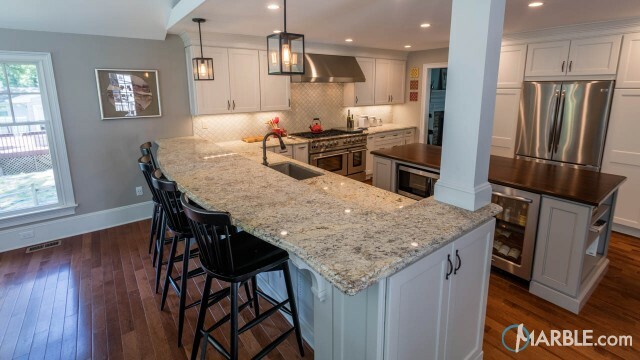 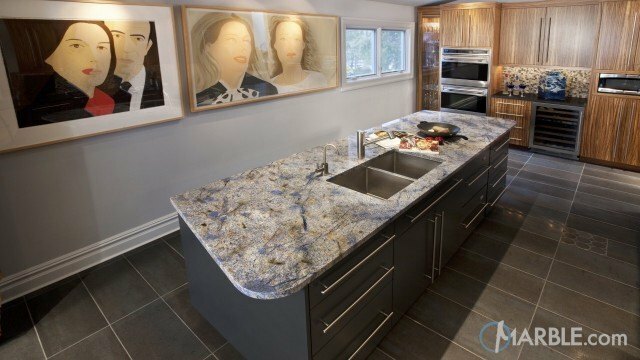 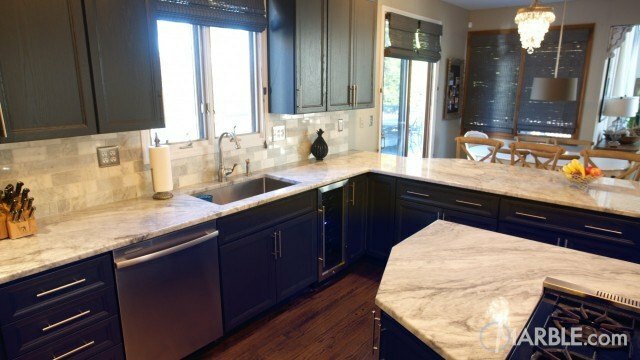 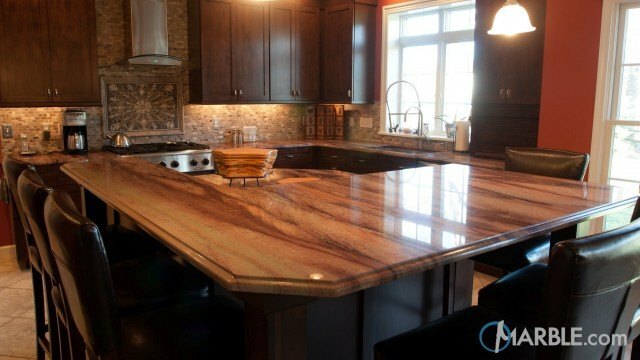 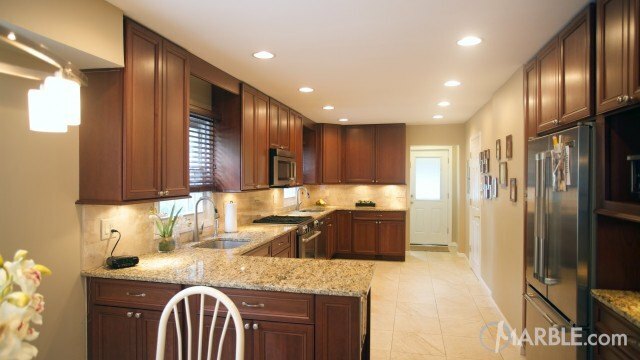 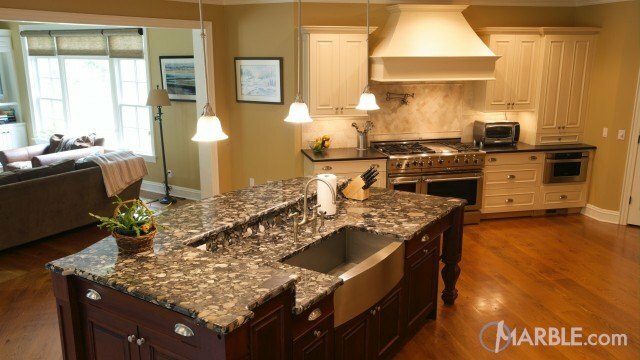 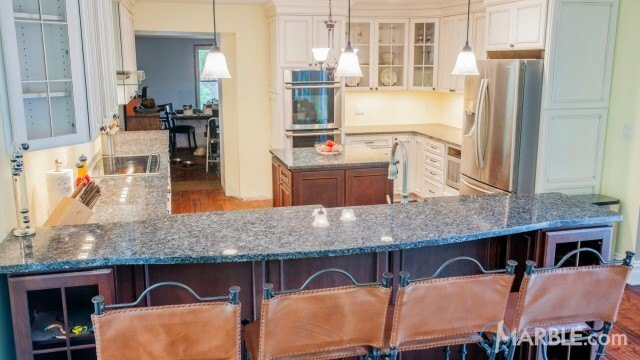 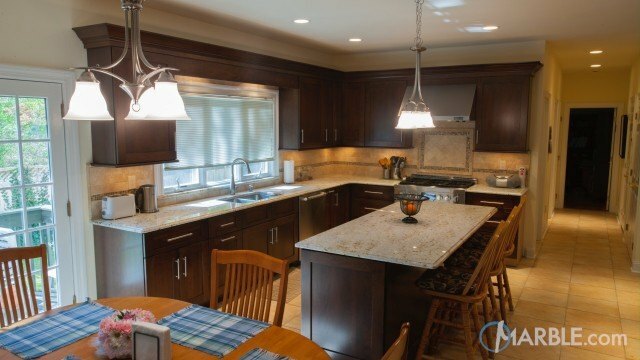 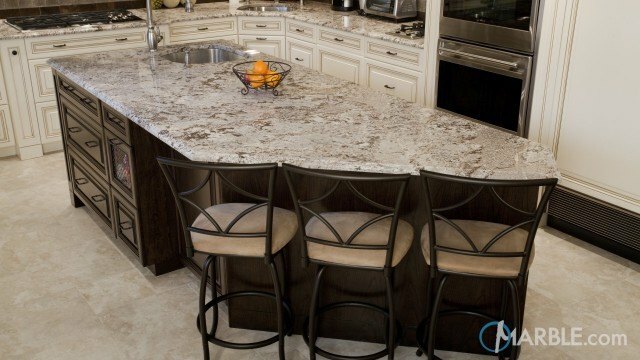 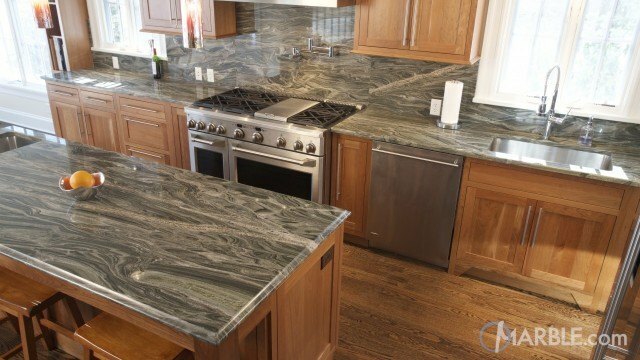 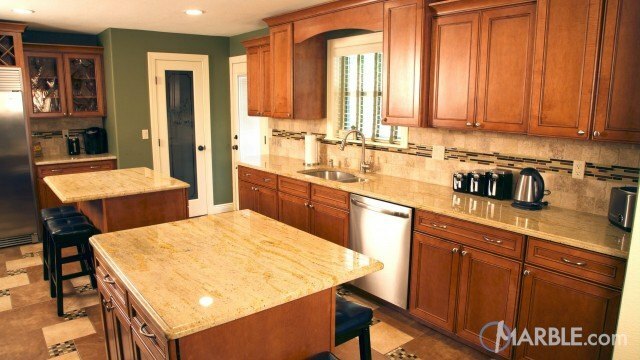 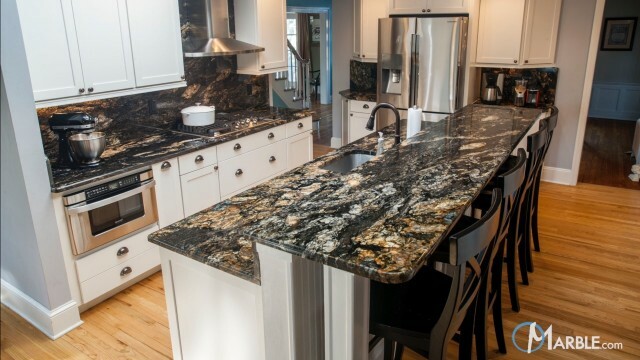 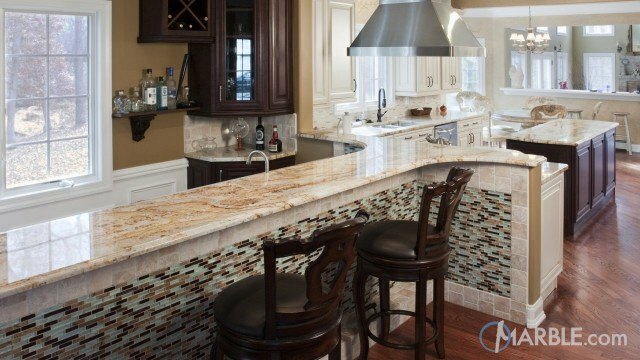 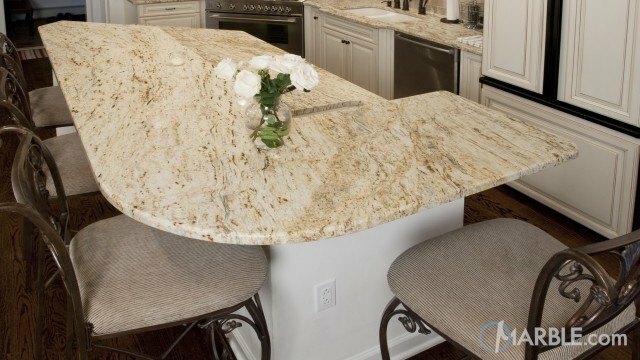 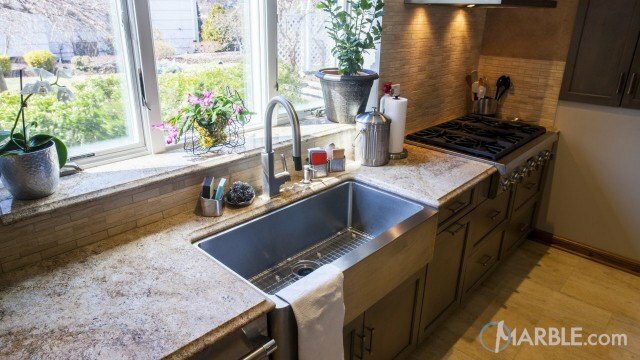 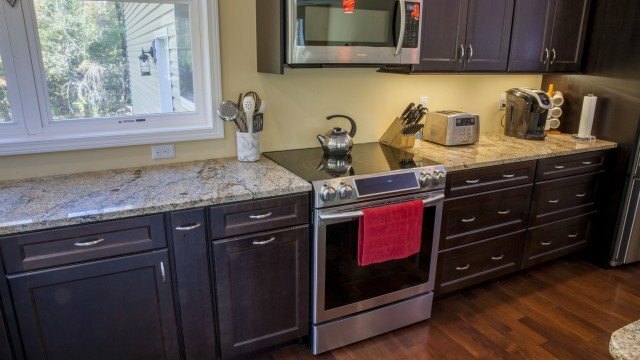 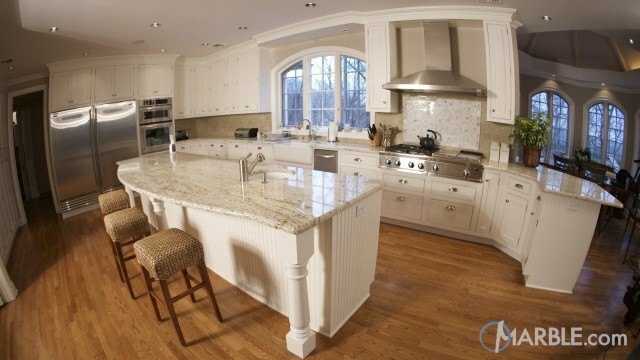 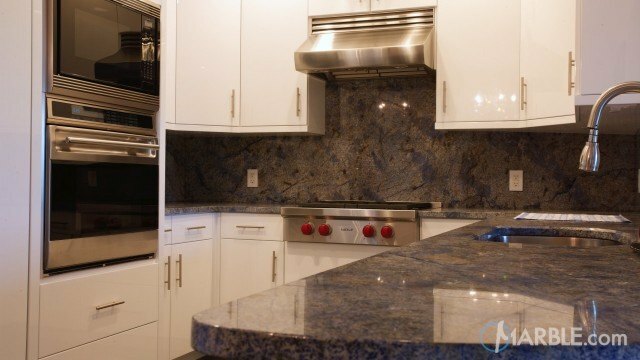 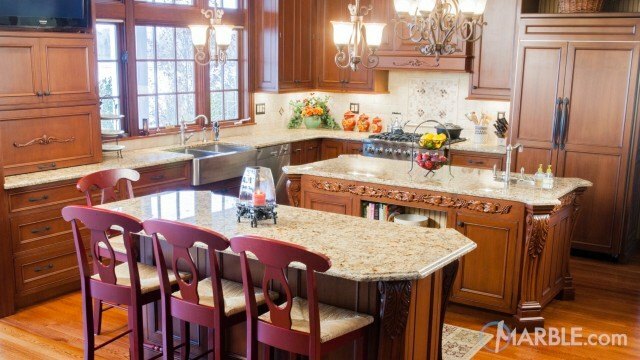 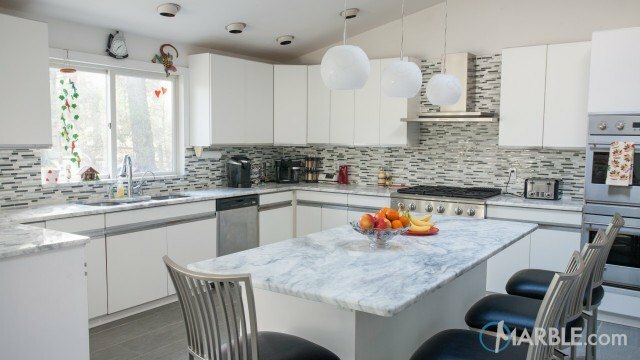 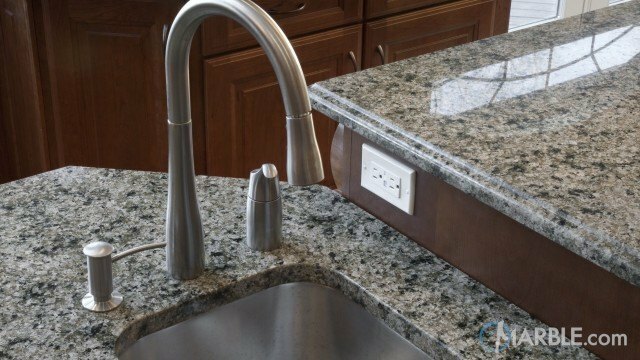 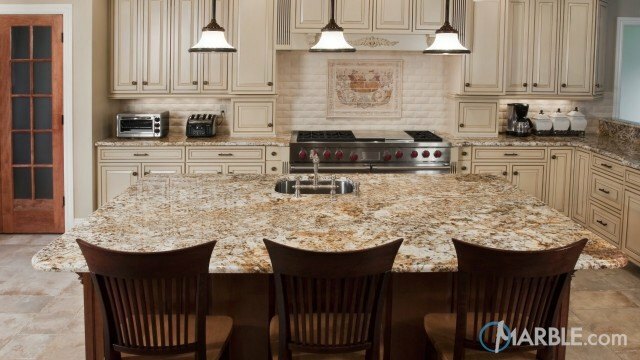 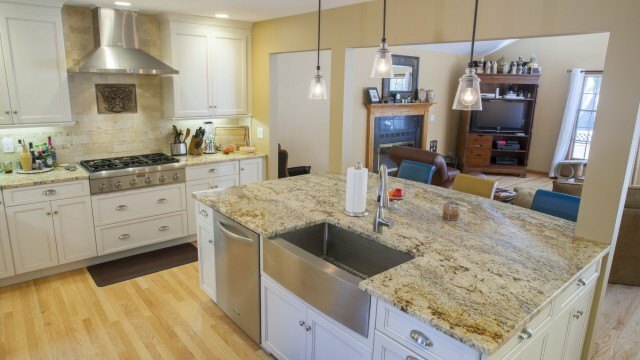 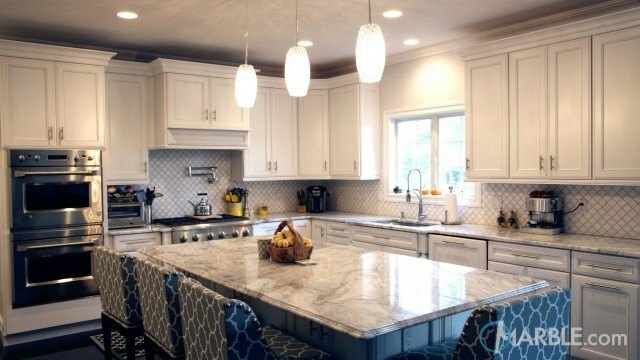 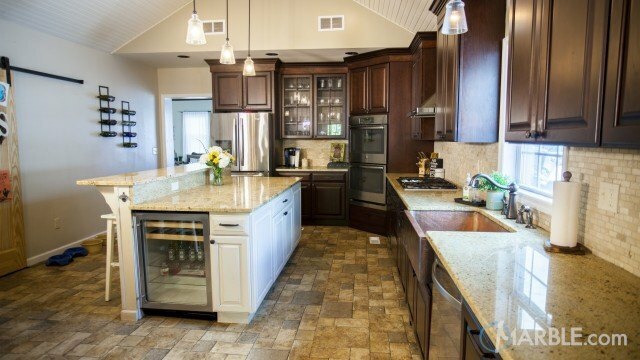 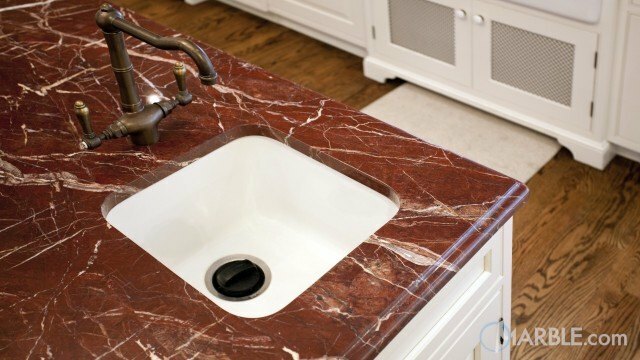 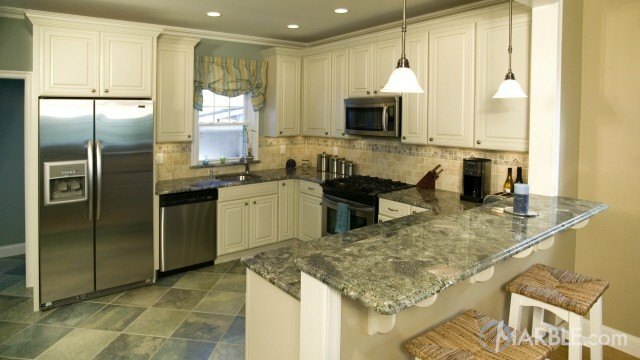 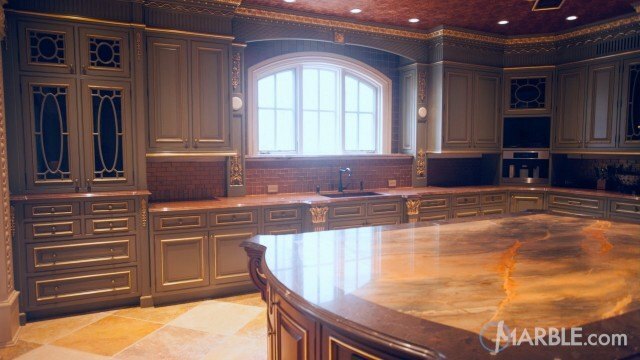 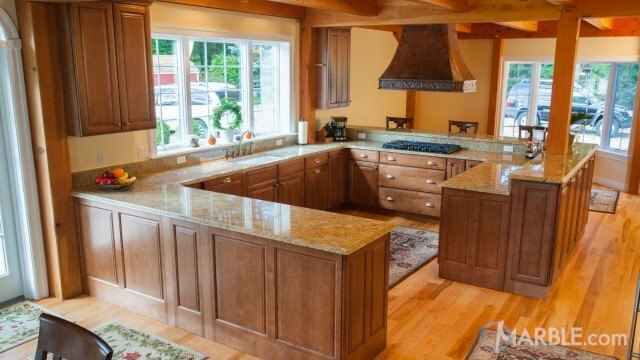 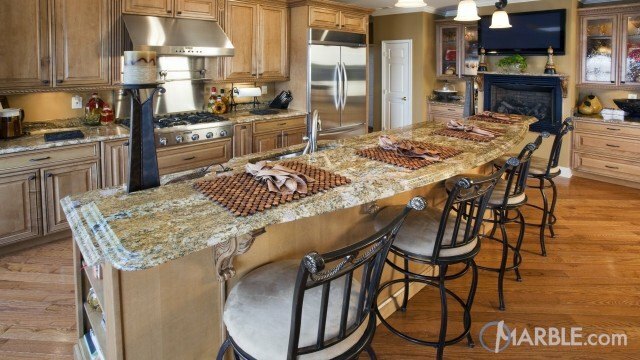 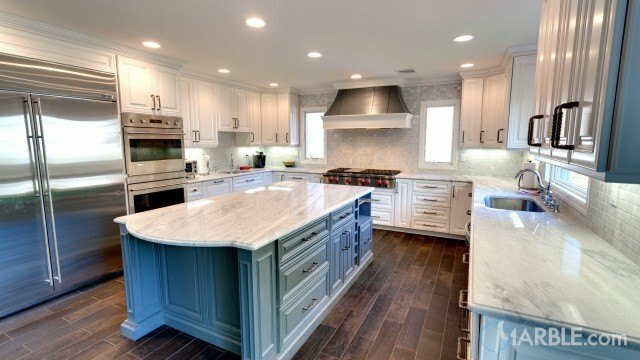 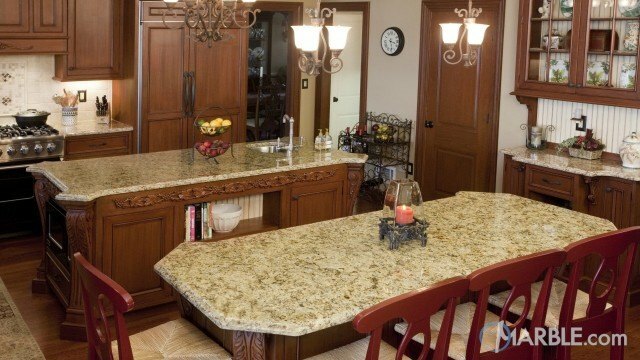 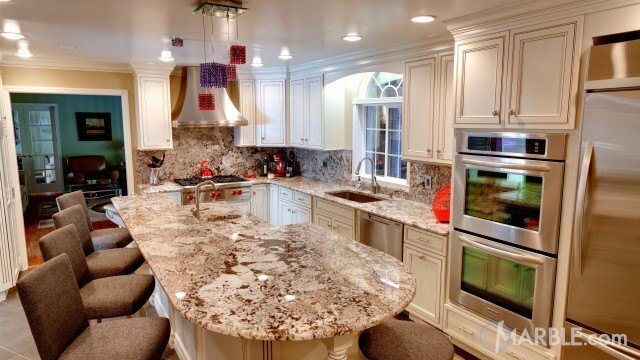 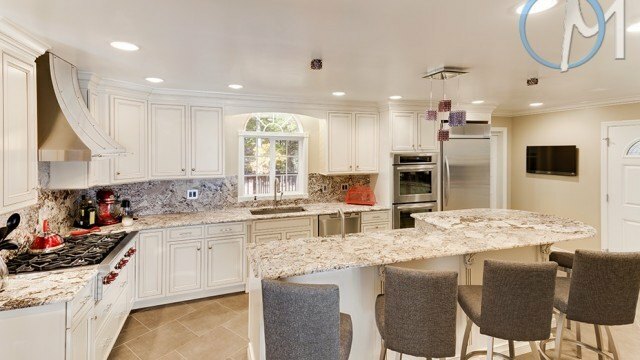 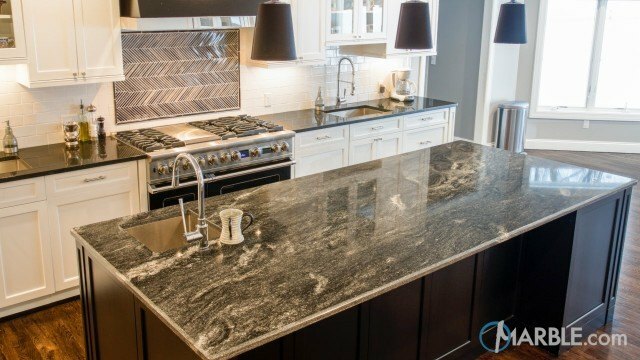 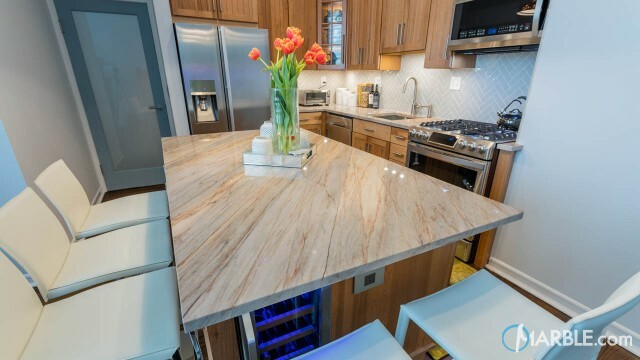 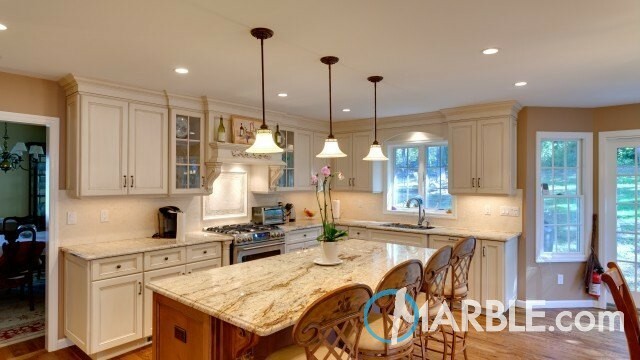 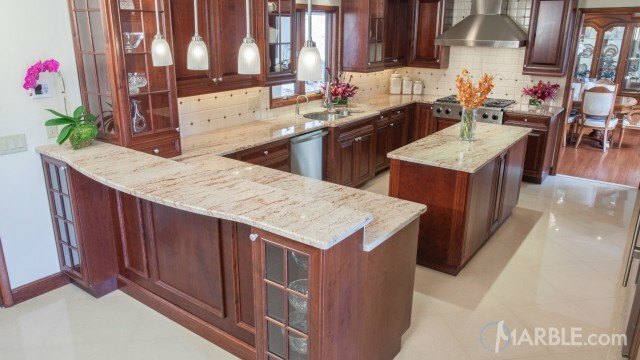 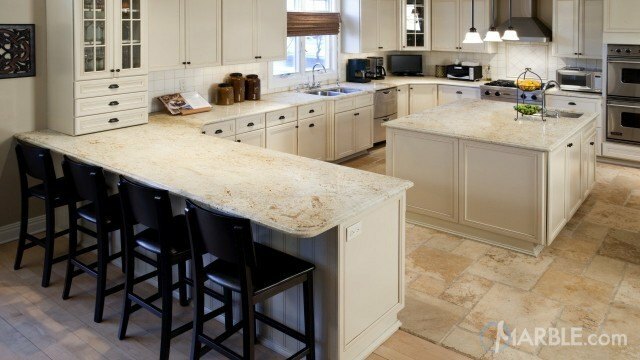 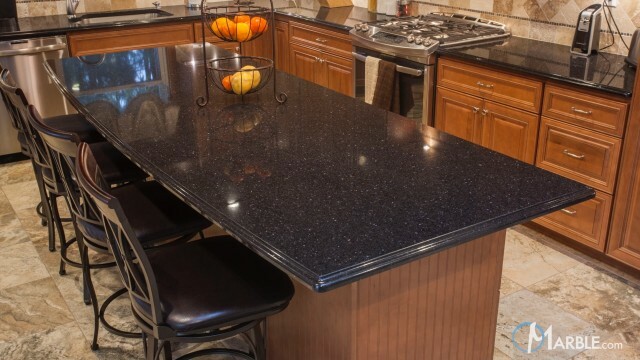 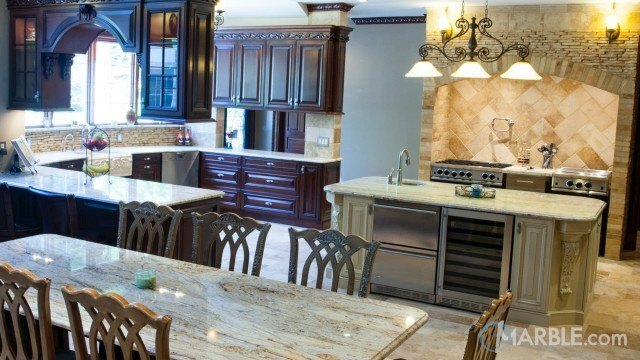 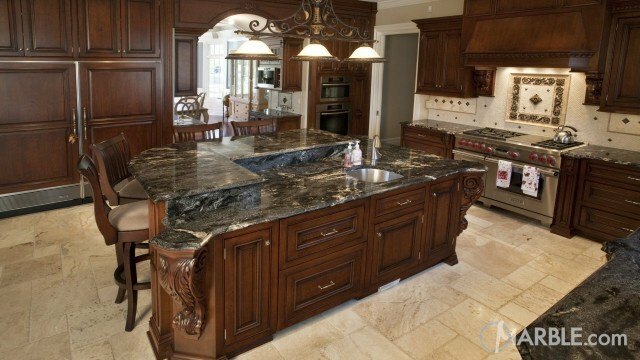 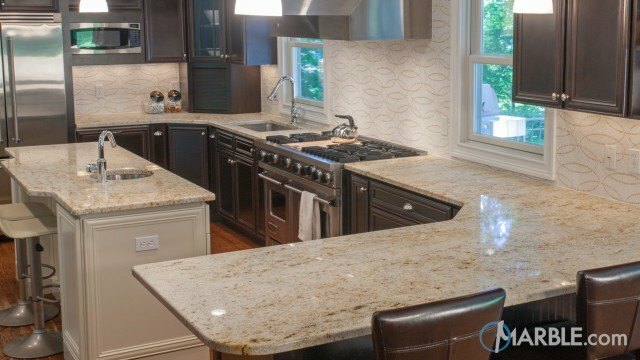 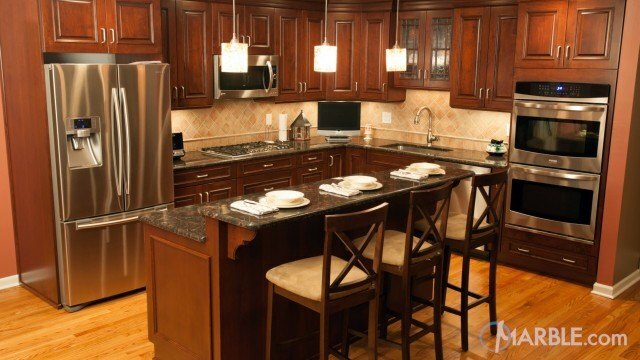 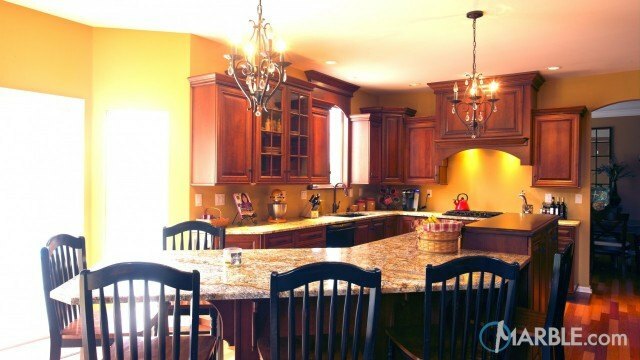 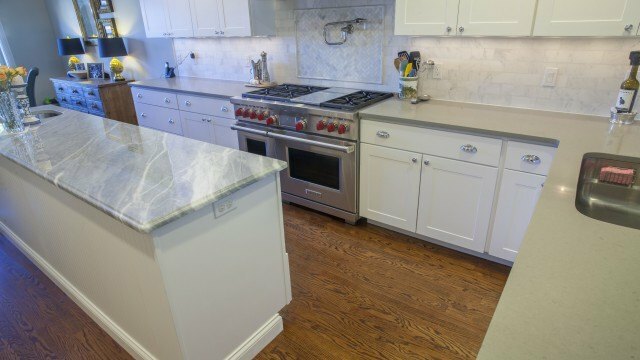 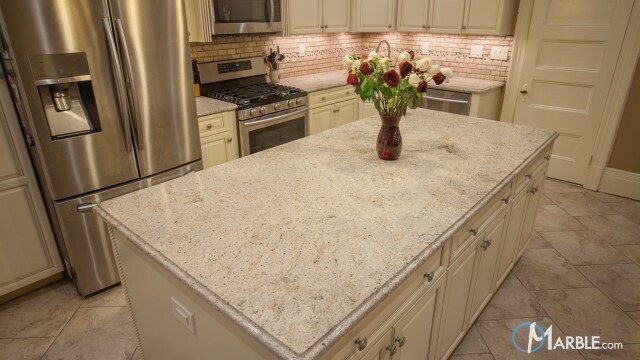 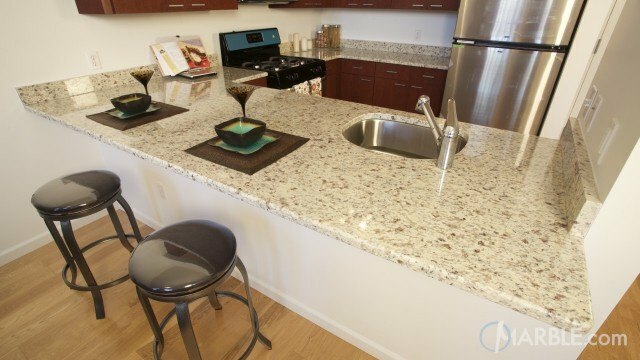 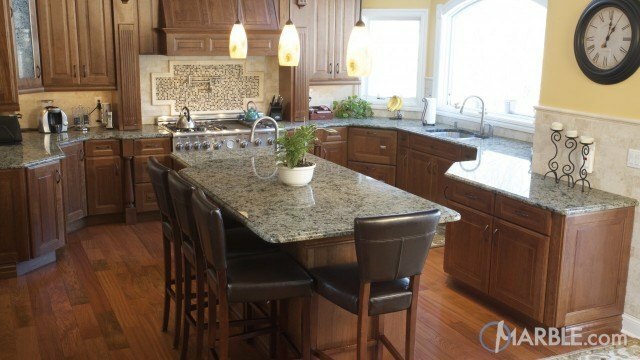 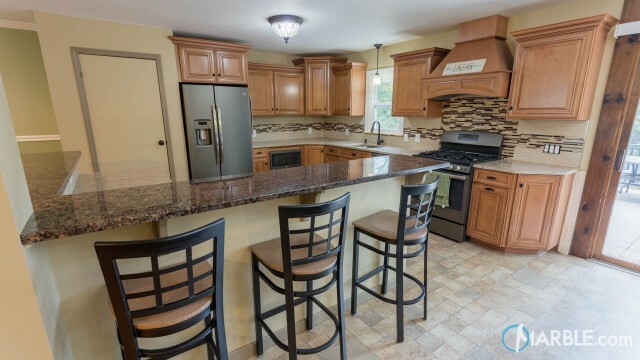 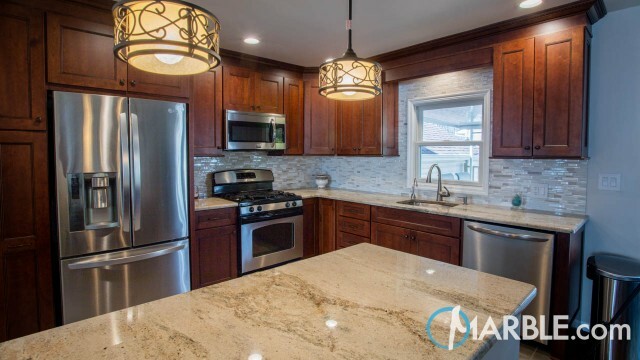 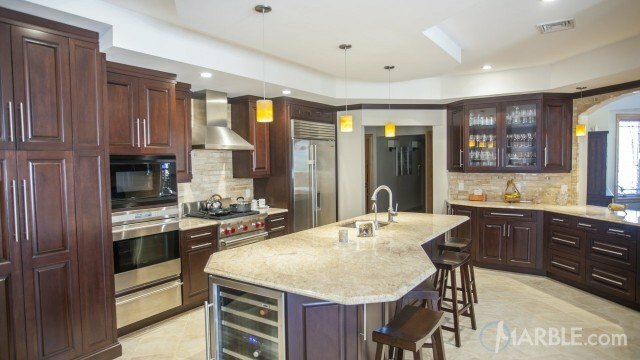 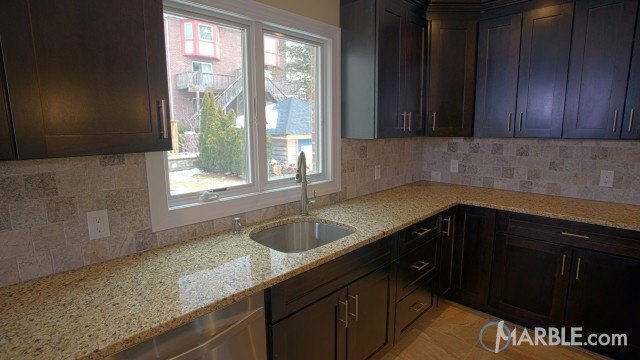 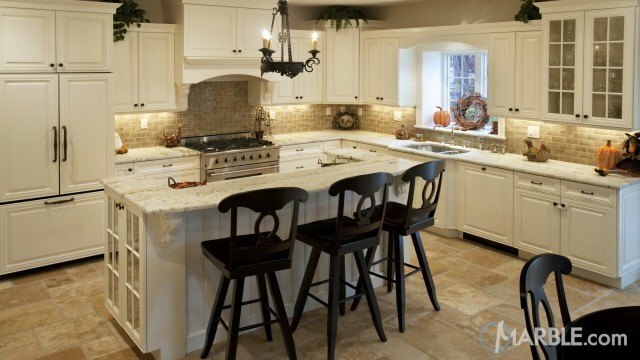 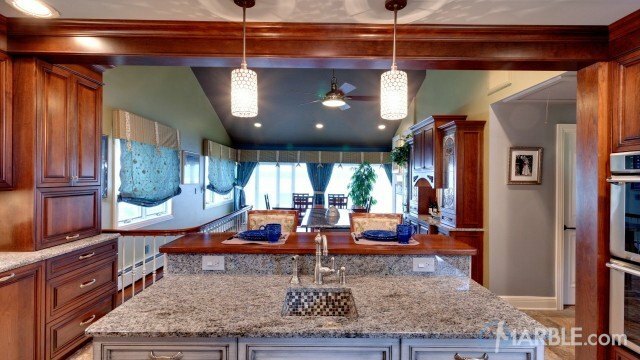 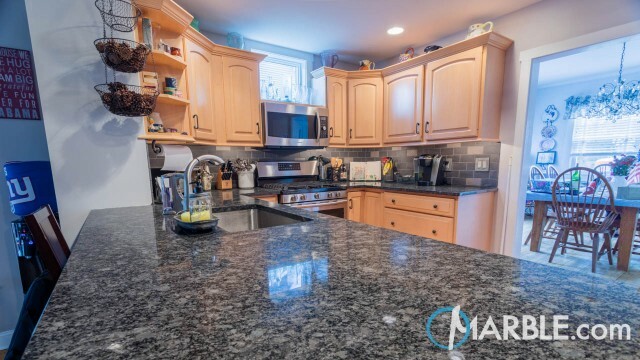 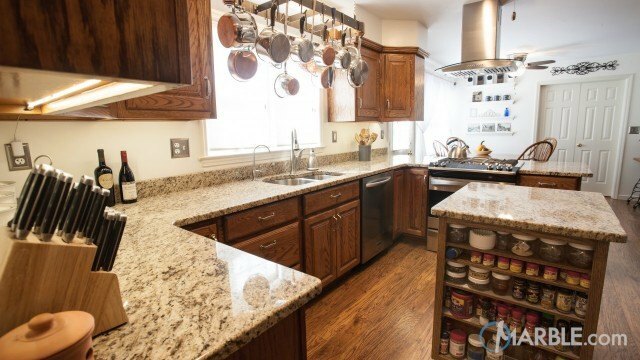 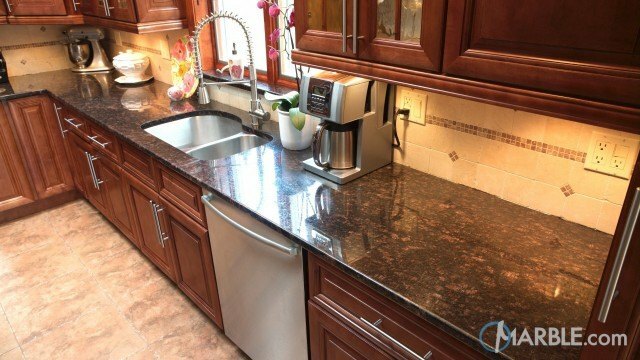 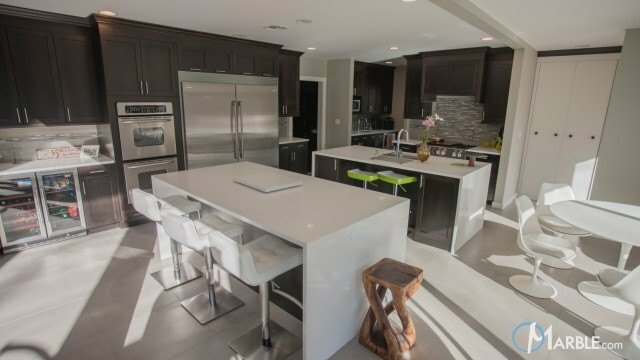 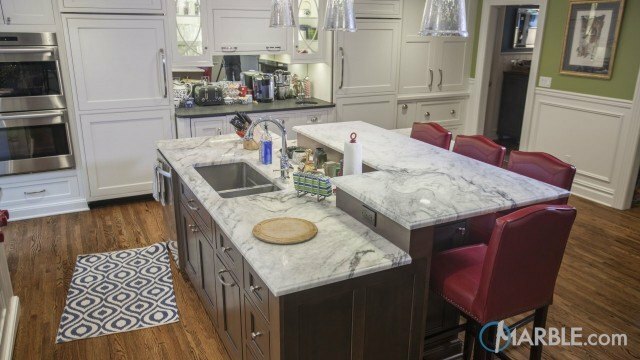 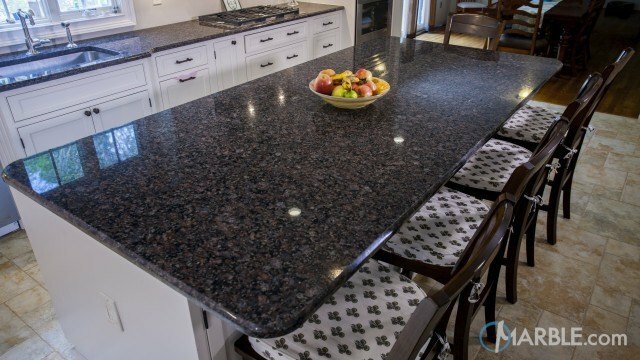 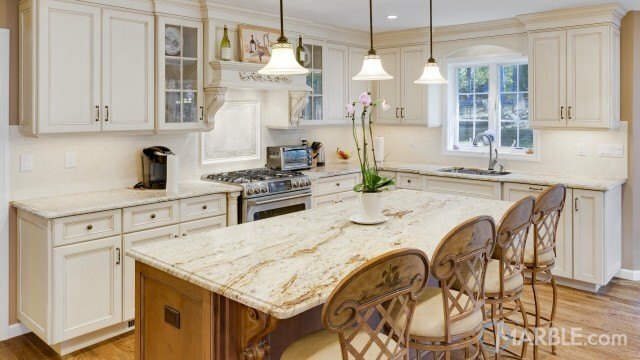 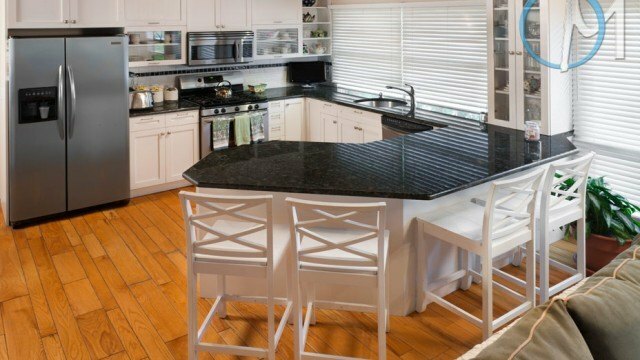 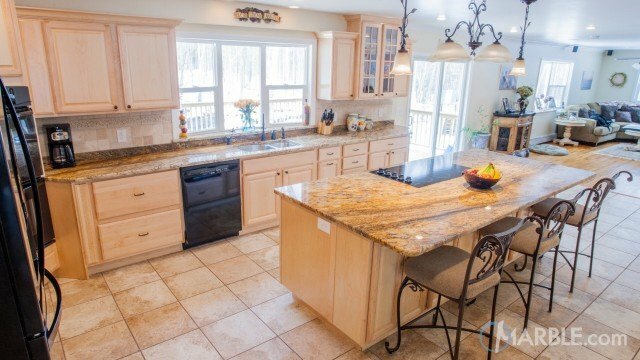 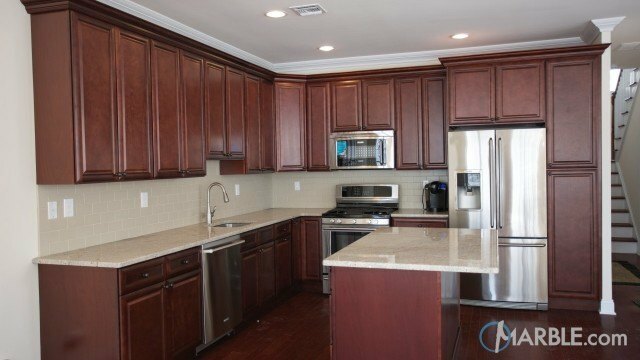 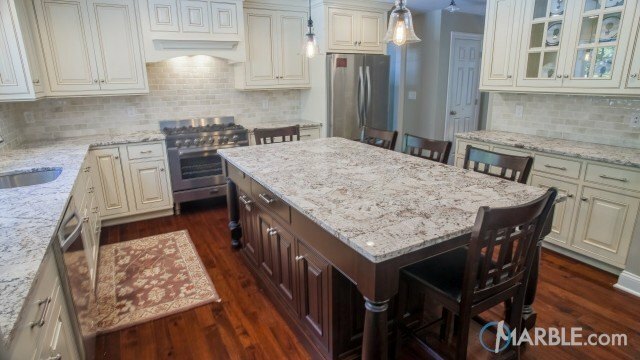 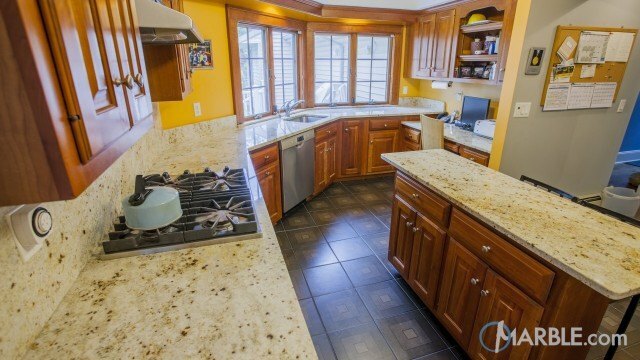 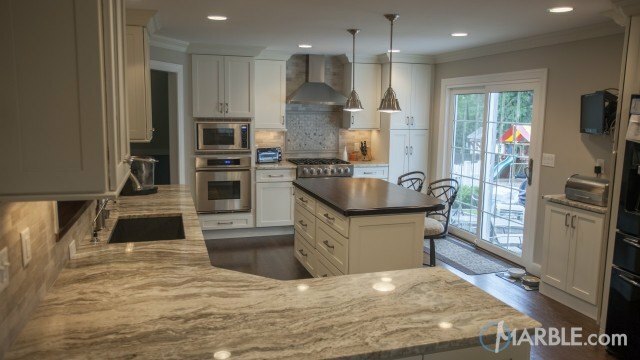 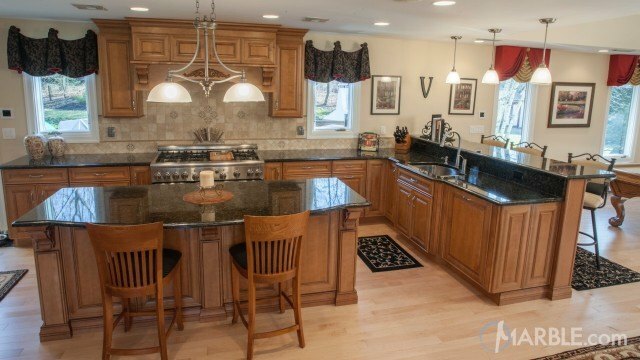 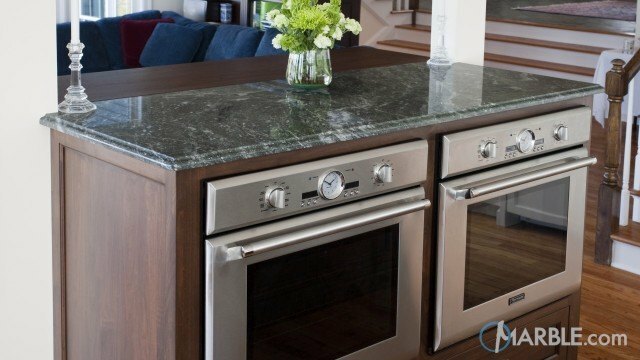 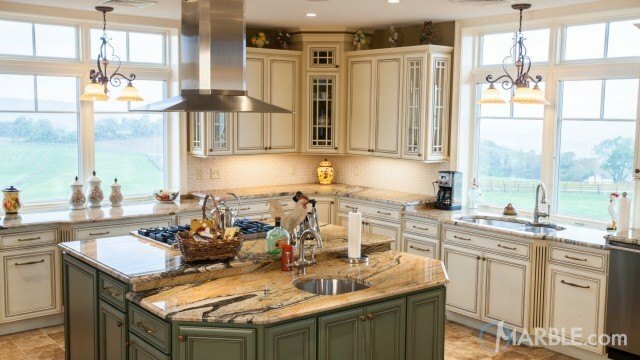 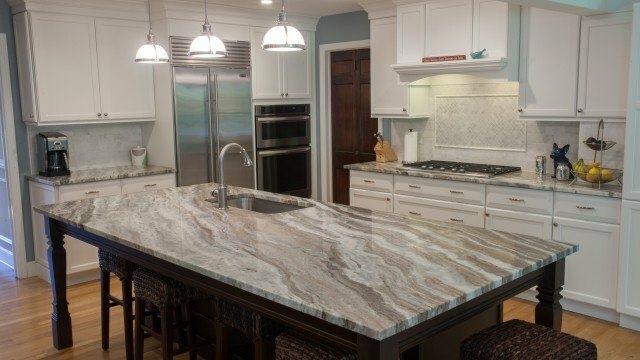 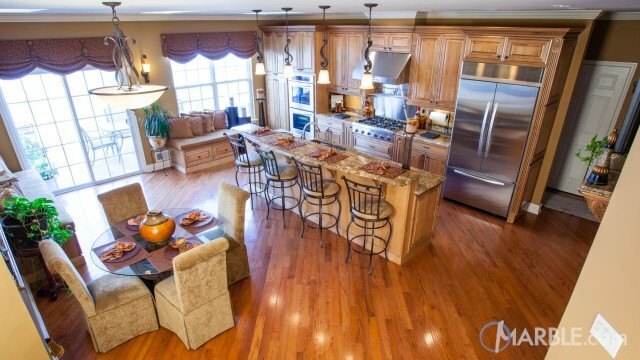 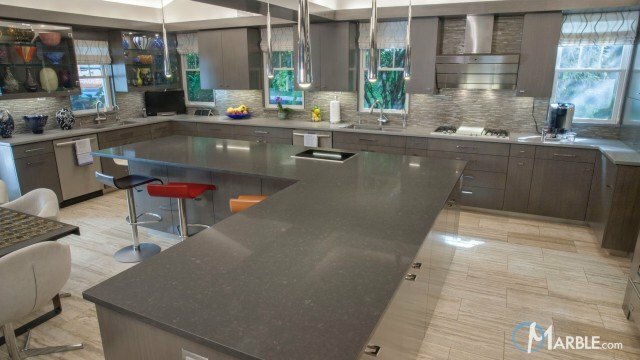 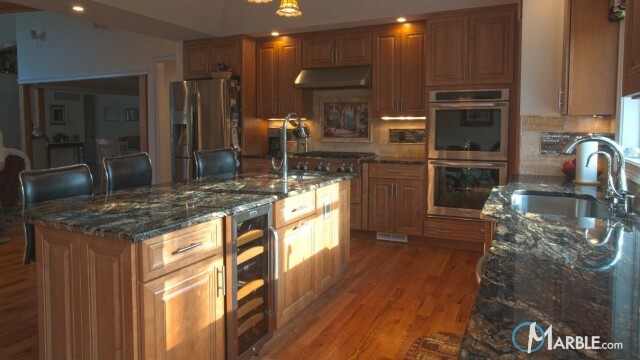 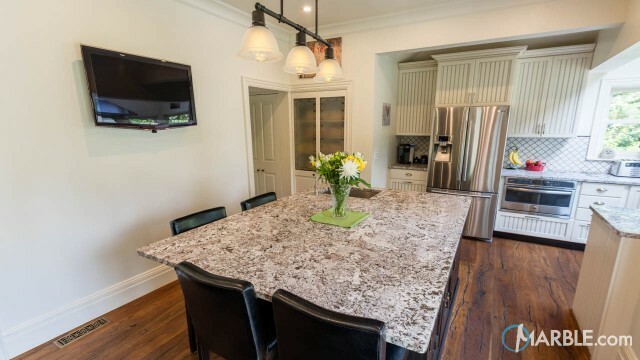 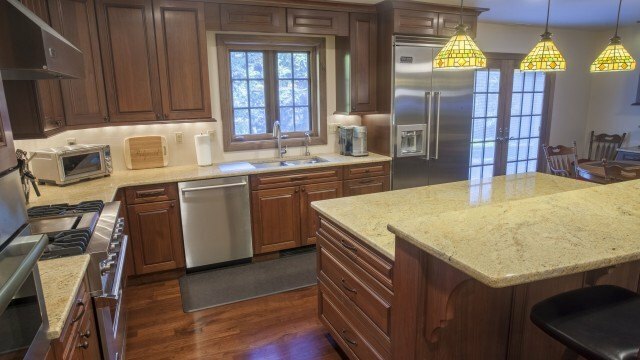 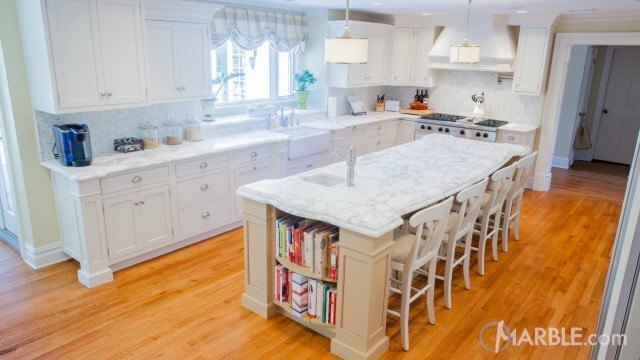 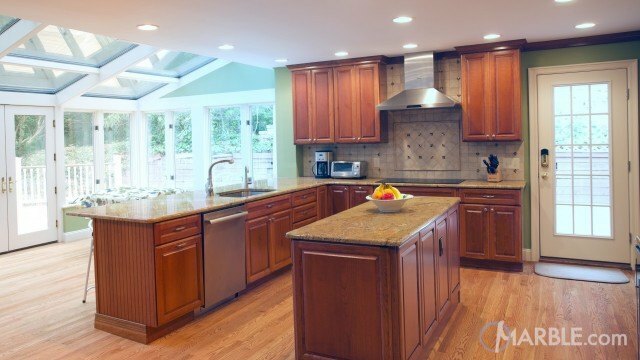 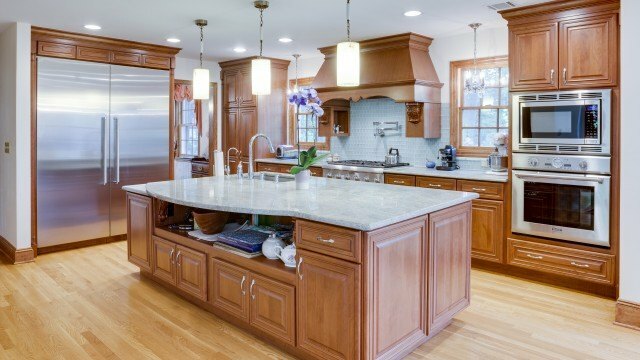 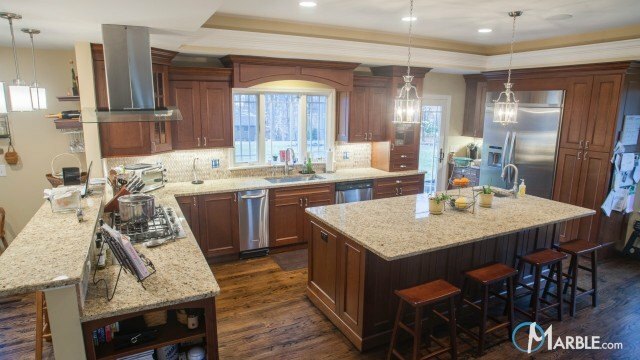 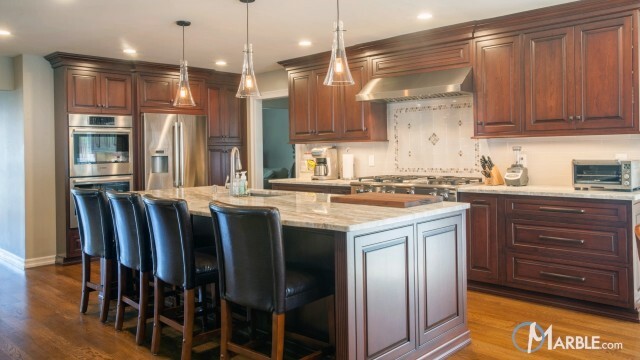 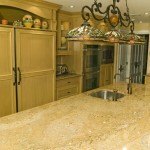 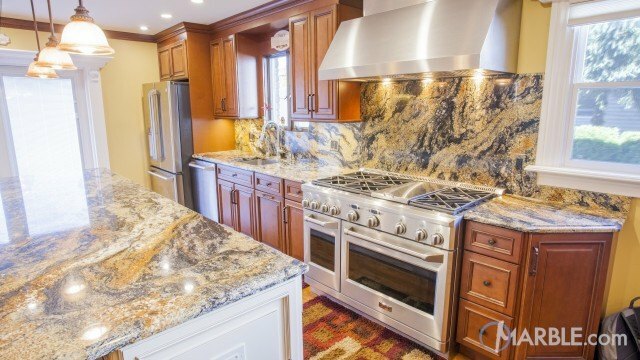 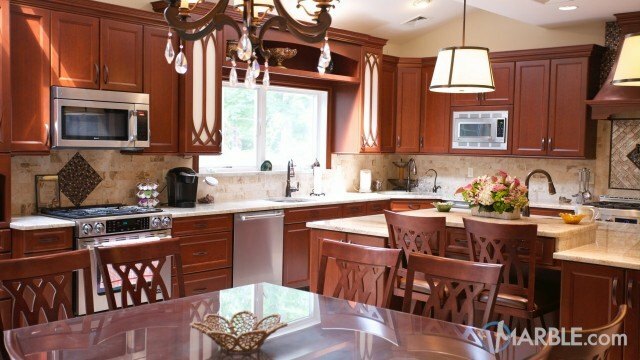 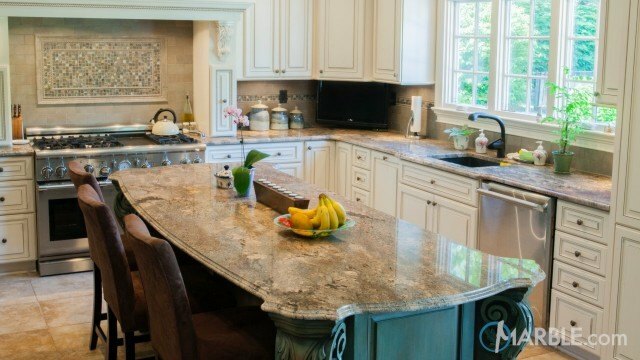 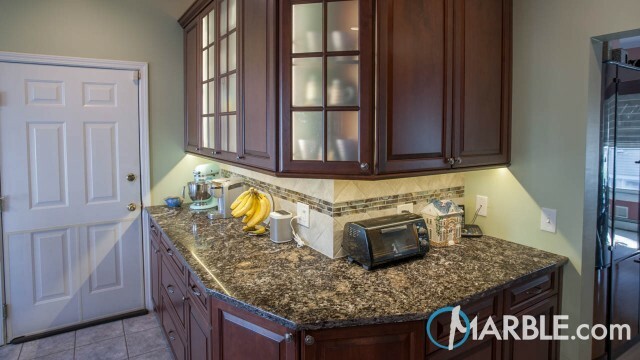 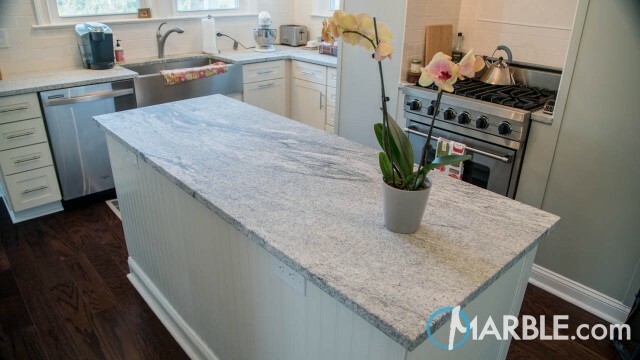 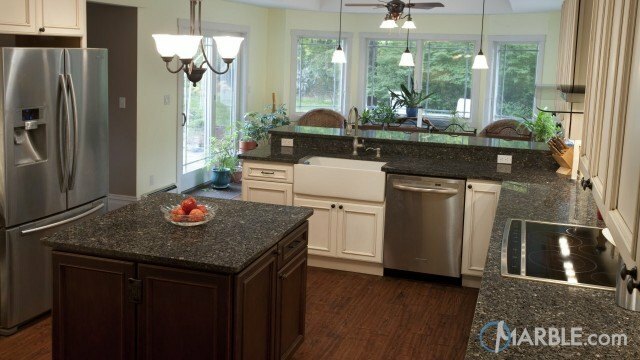 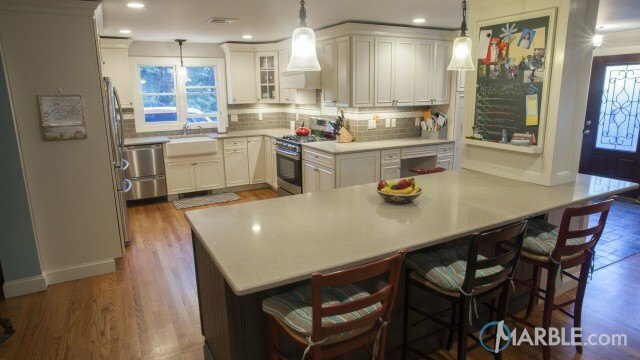 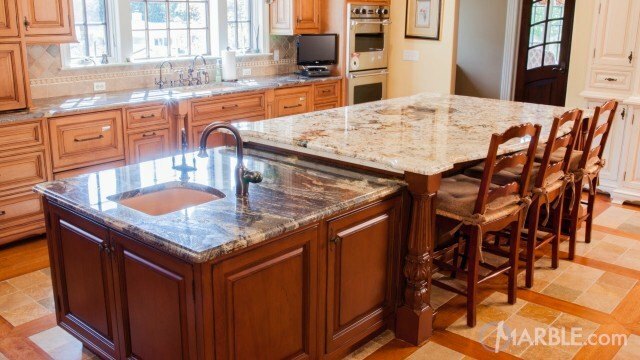 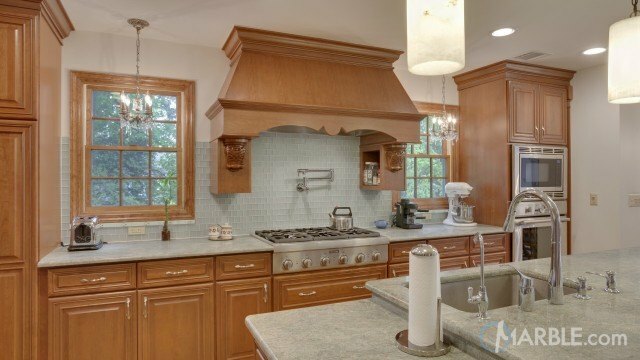 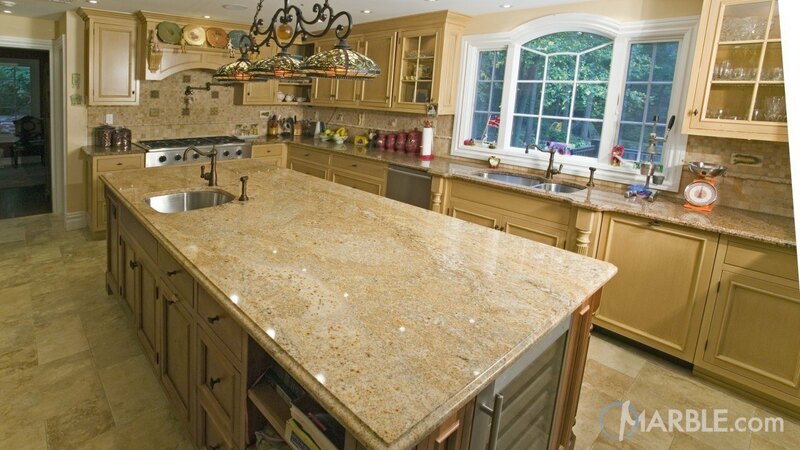 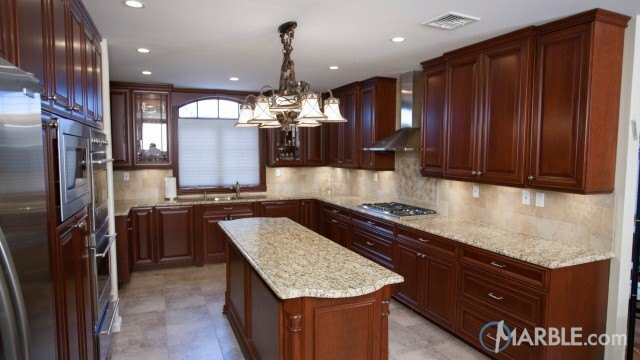 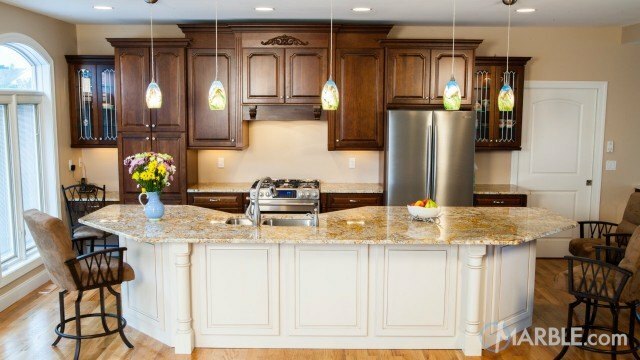 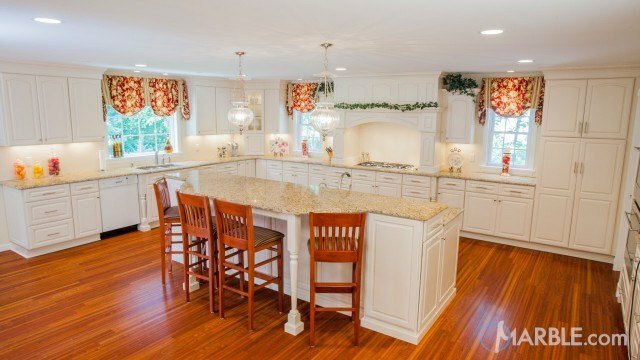 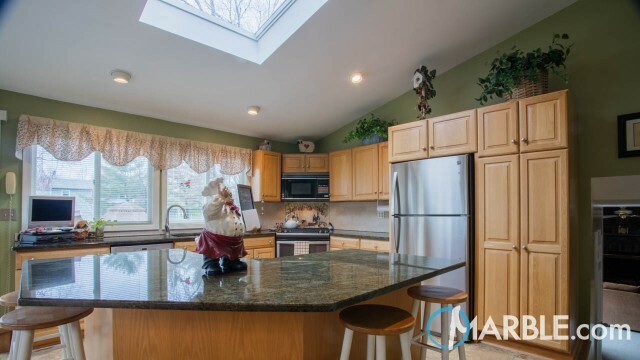 This elegant kitchen features a large island crowned with a beautiful slab of Sanguine C granite with an Ogee Edge. 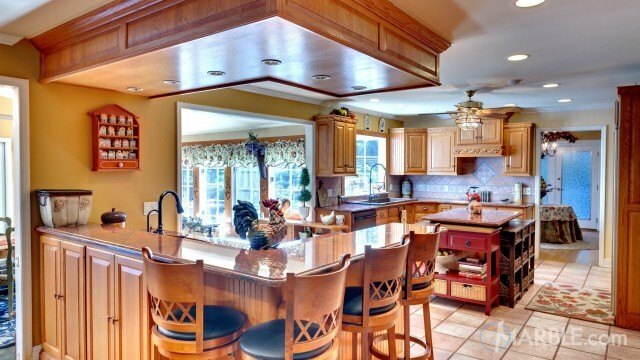 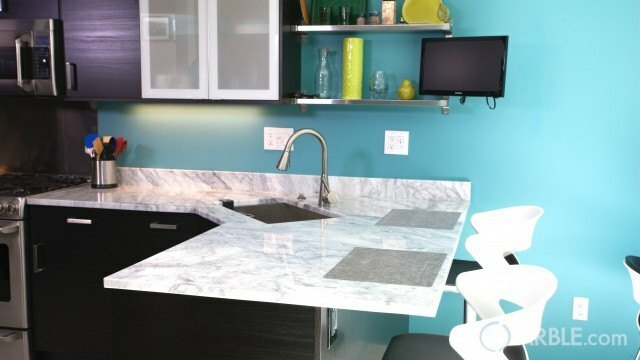 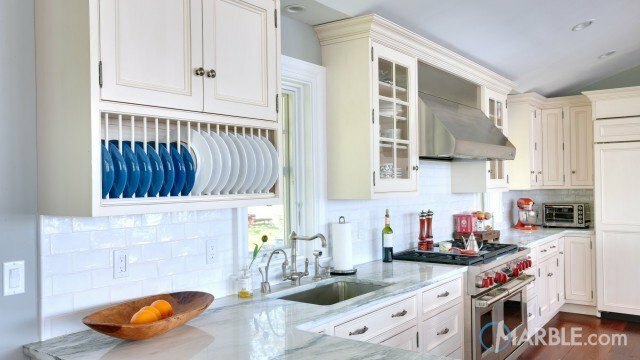 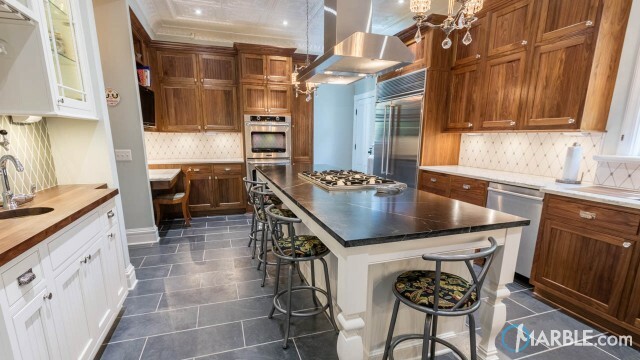 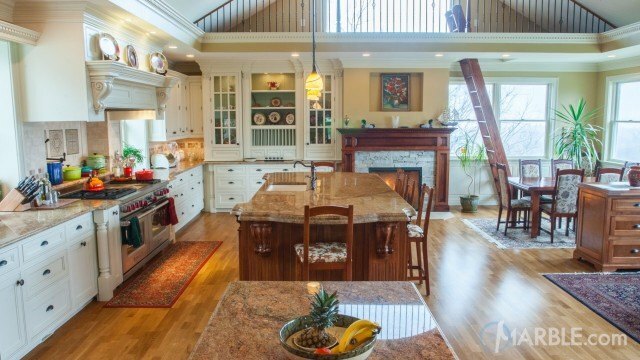 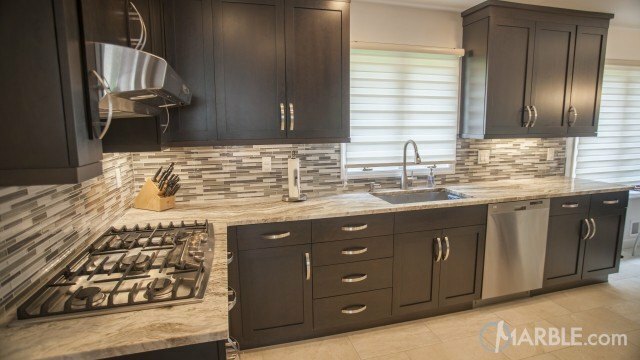 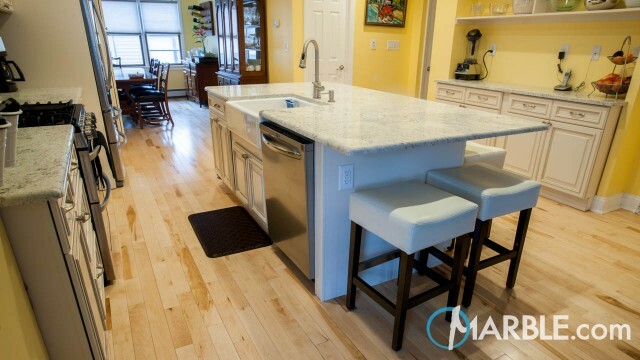 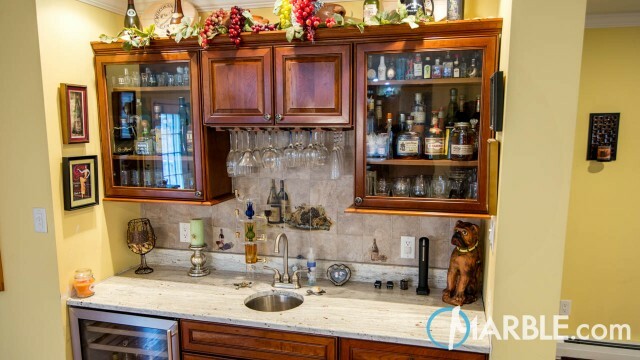 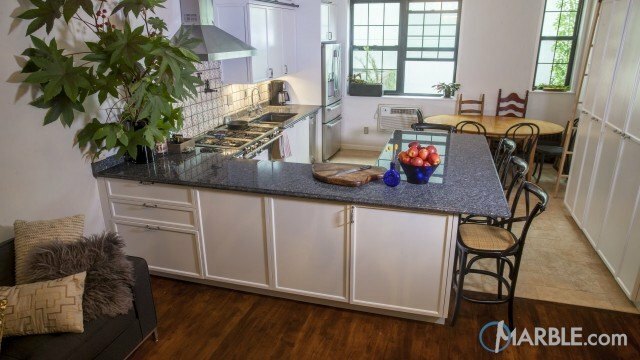 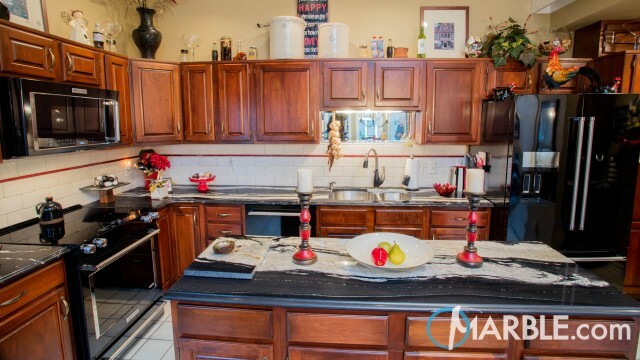 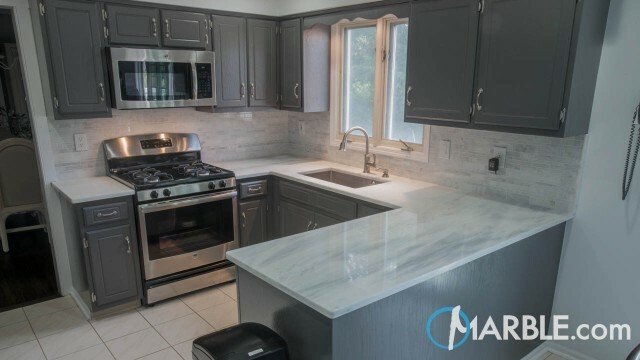 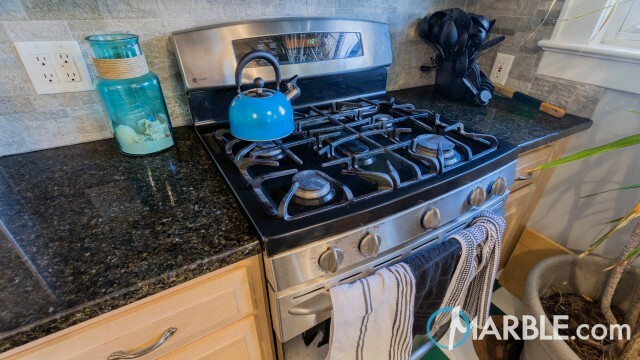 There's no shortage of work space for the amateur chef to showcase his/her talents. 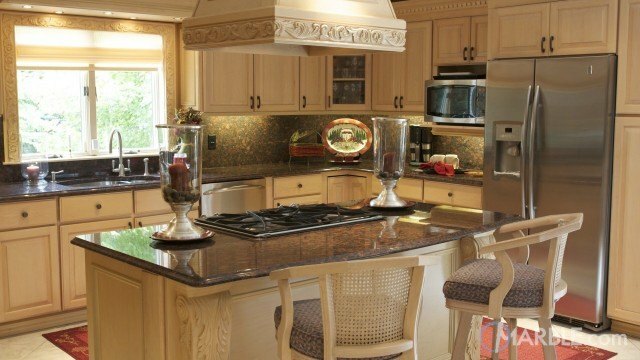 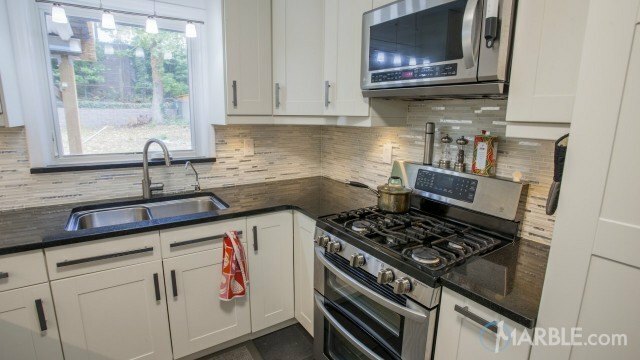 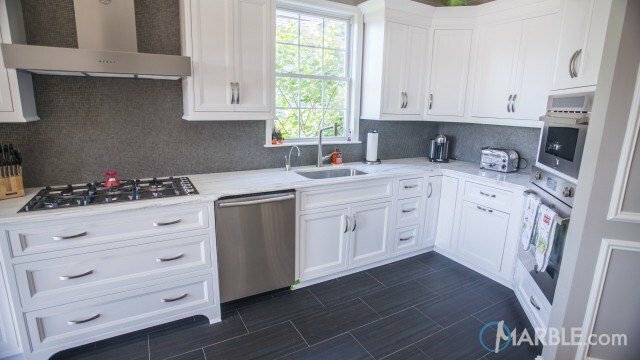 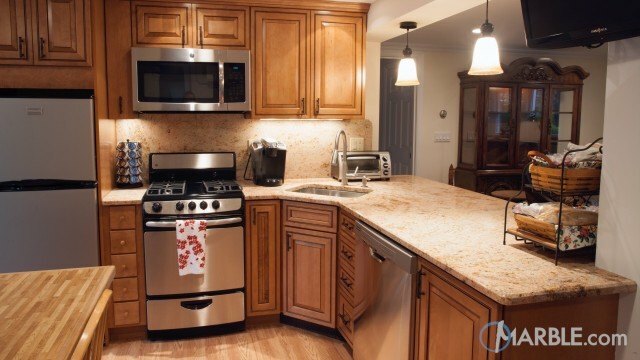 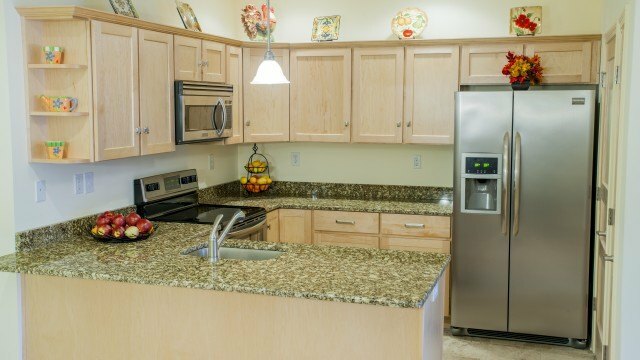 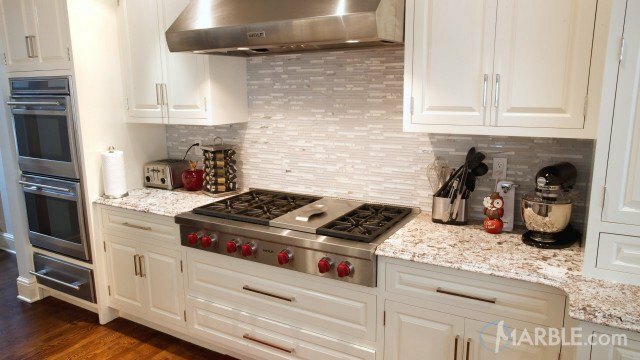 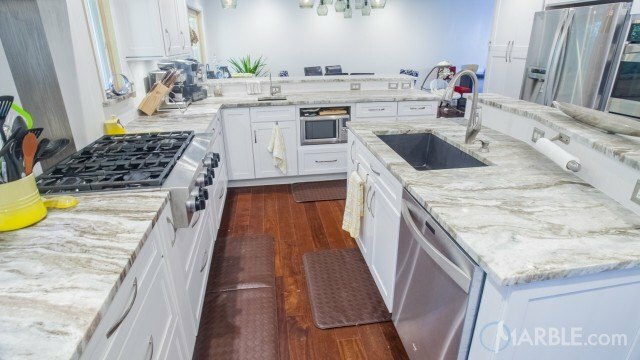 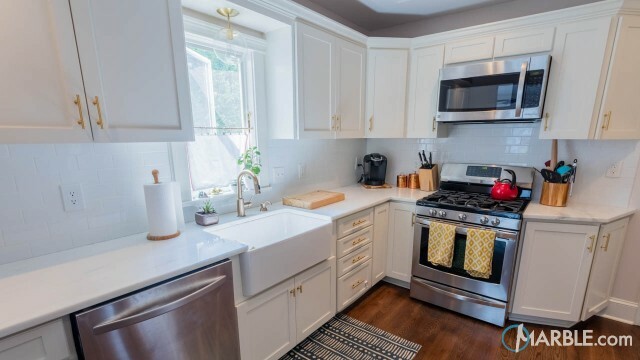 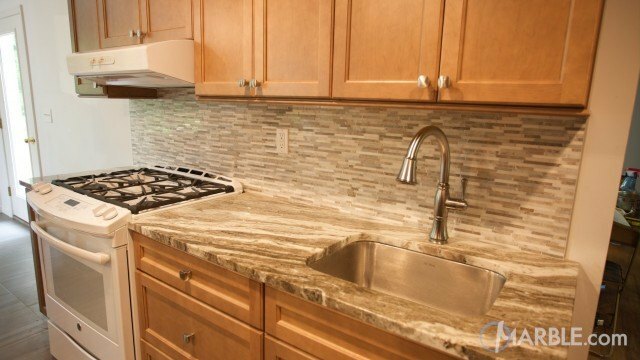 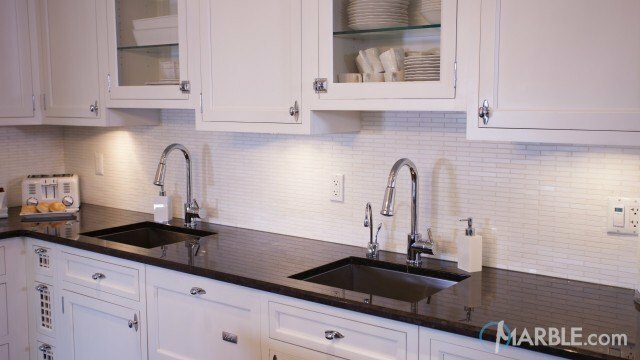 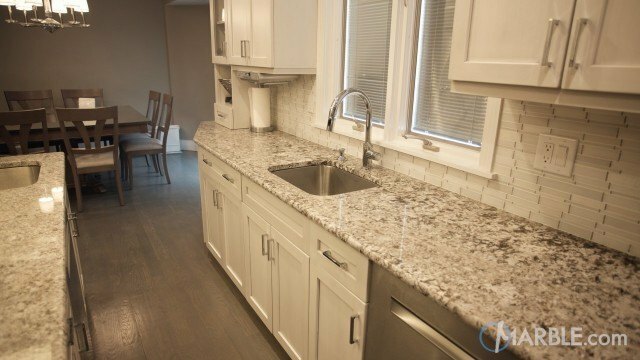 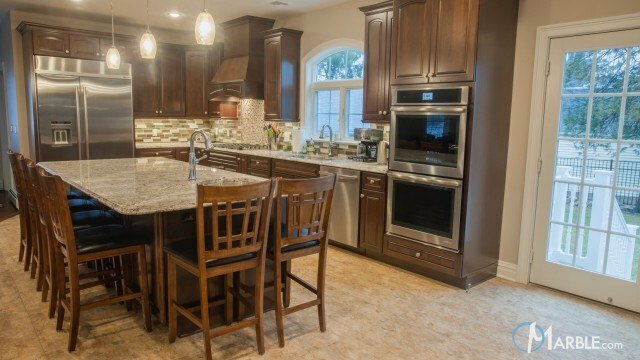 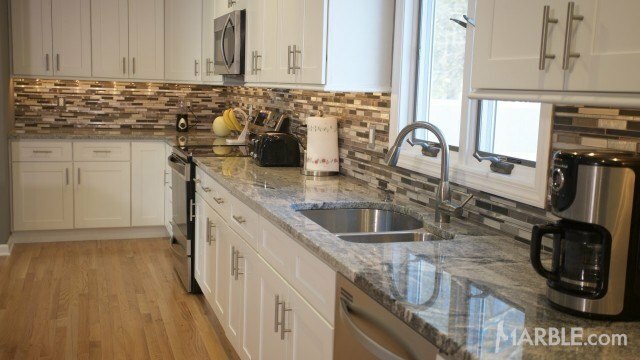 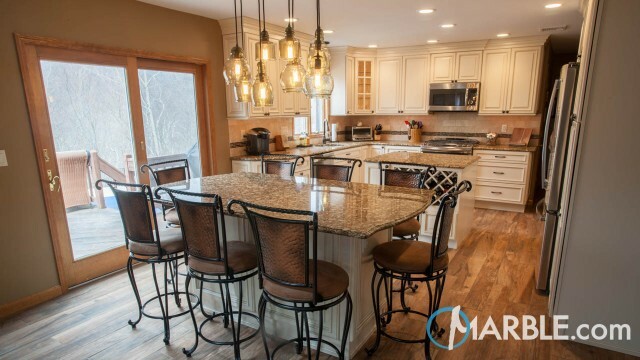 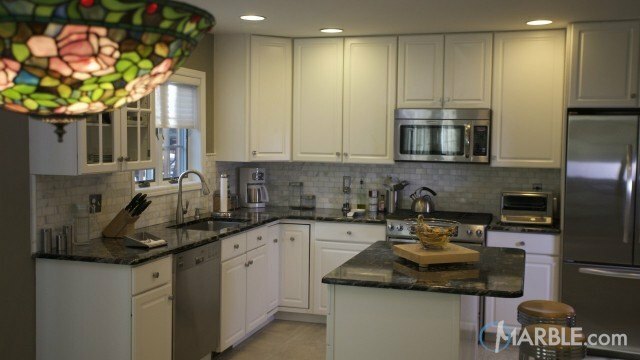 Beige and brown themes run throughout, from the floor tiles and back splash, to the bronze fixtures, giving a homey feel to a lovely kitchen.